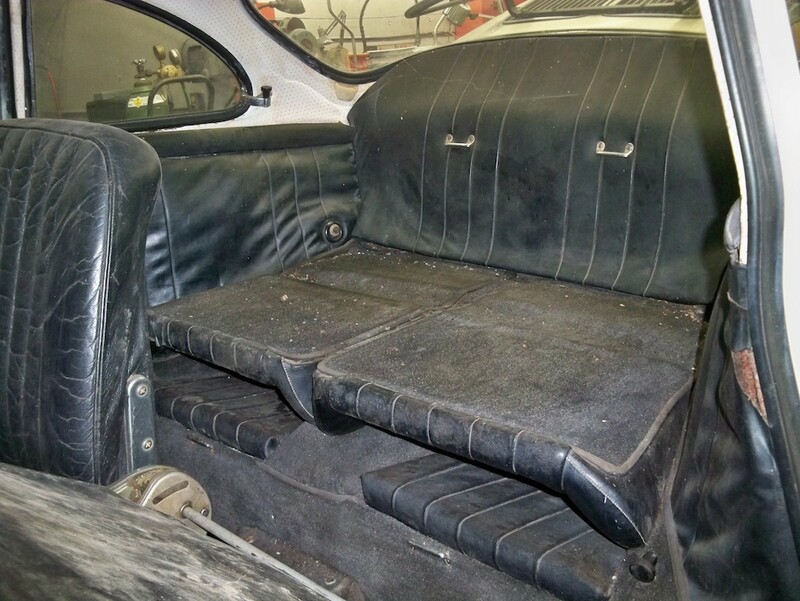 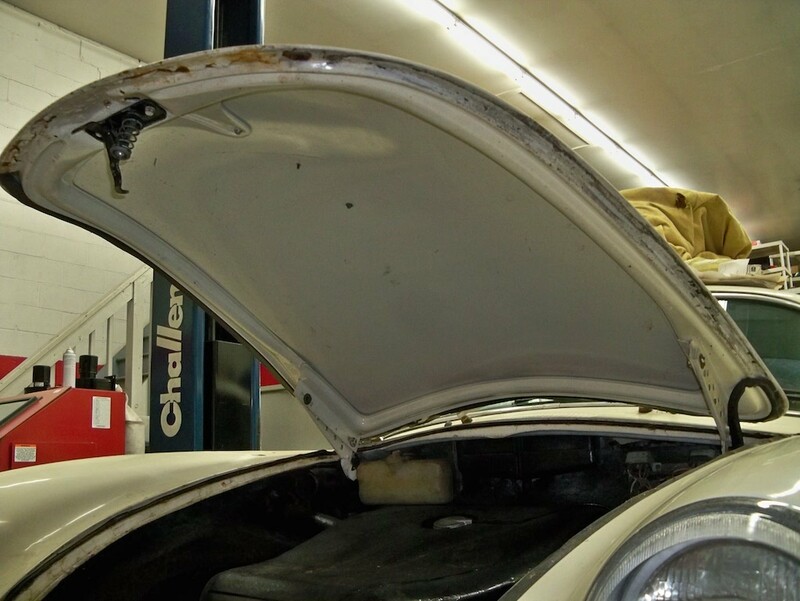 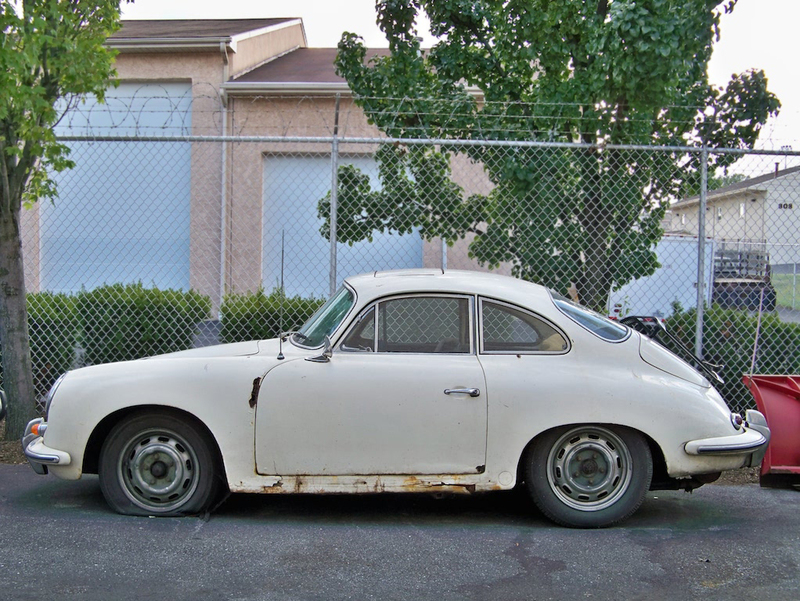 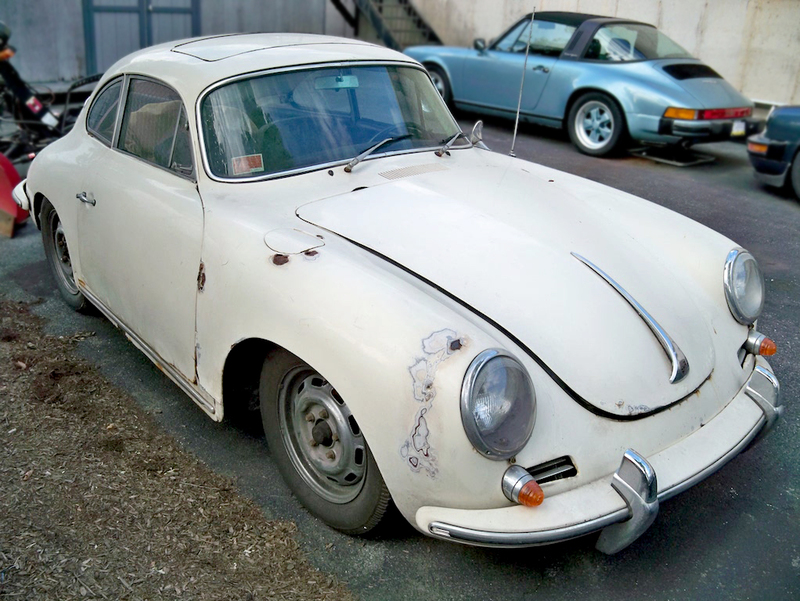 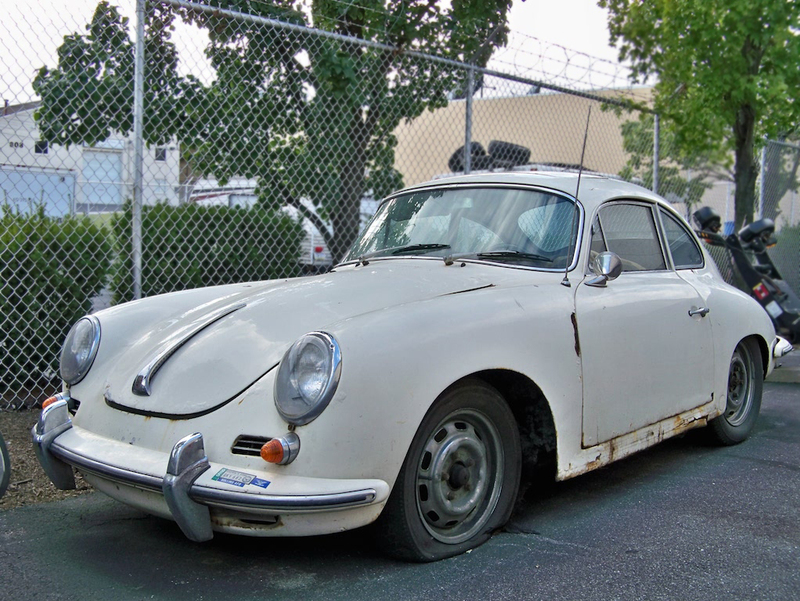 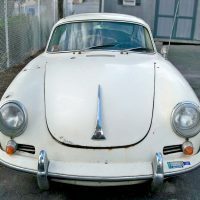 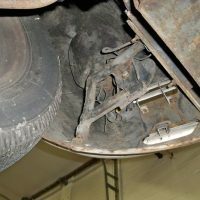 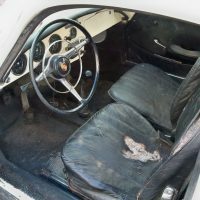 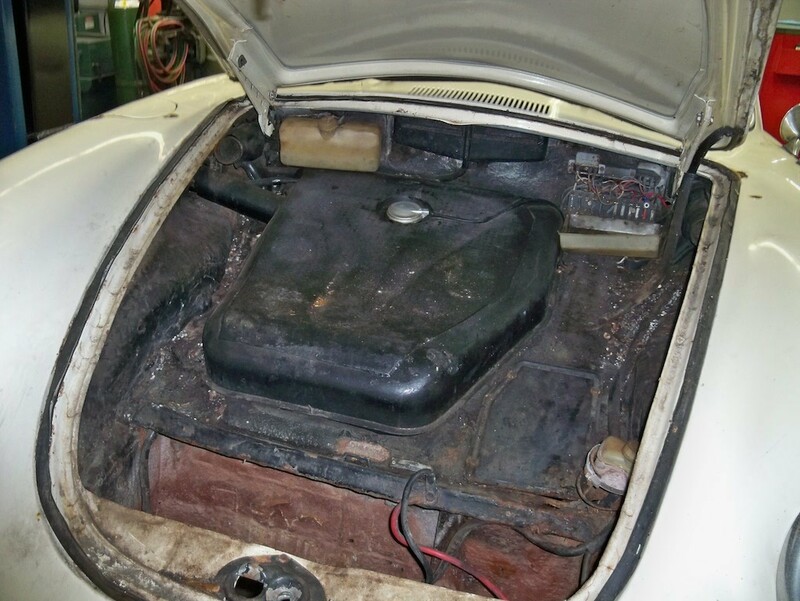 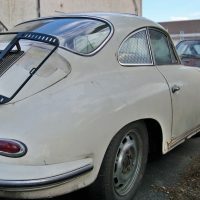 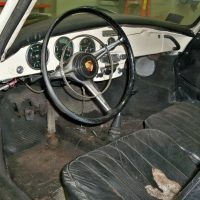 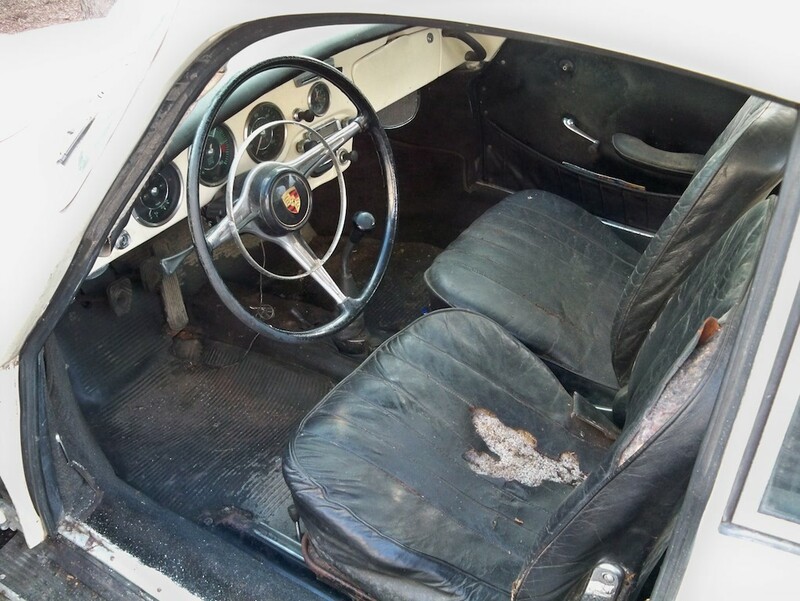 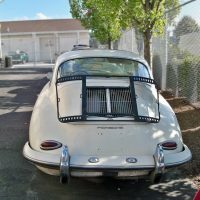 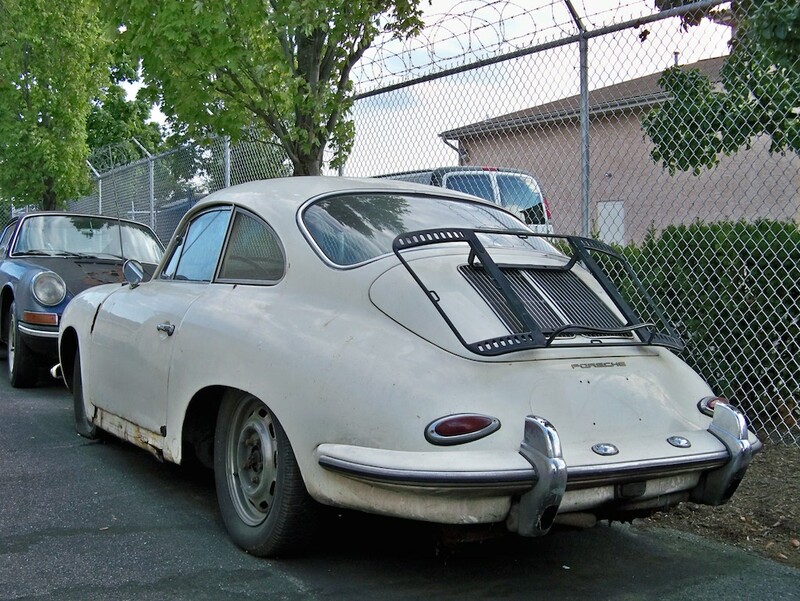 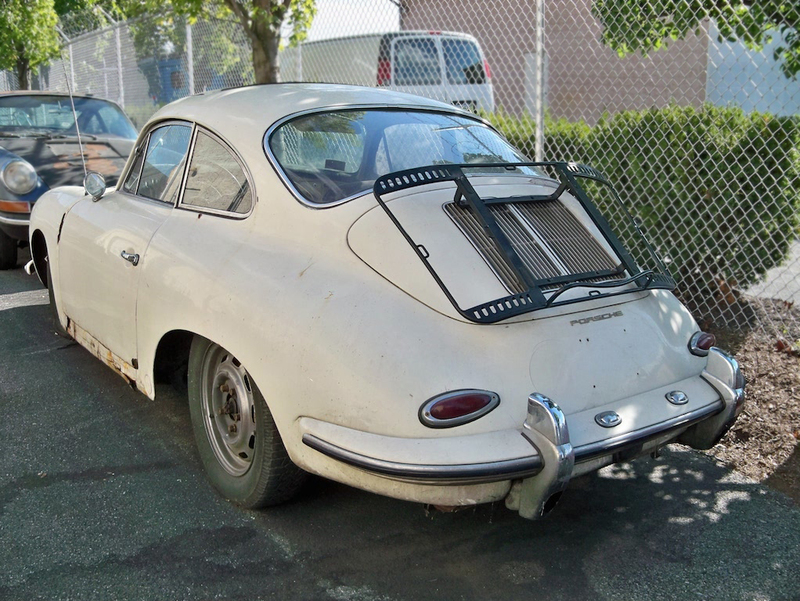 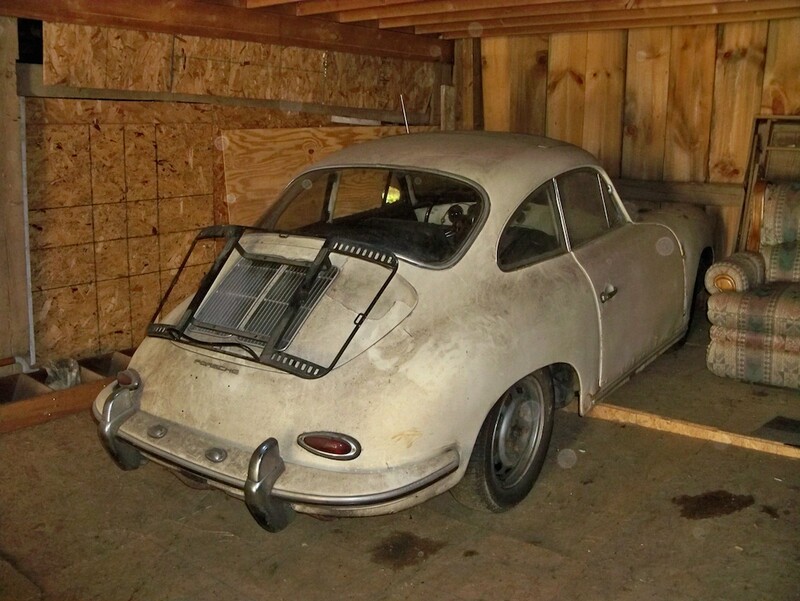 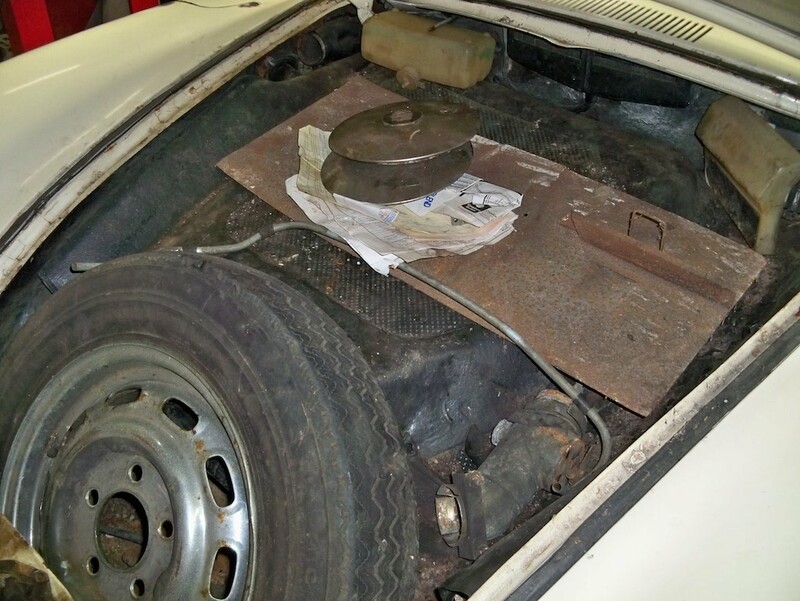 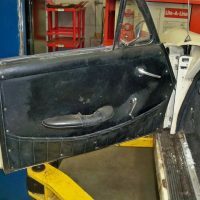 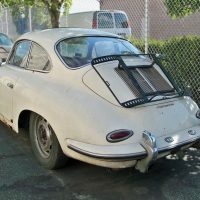 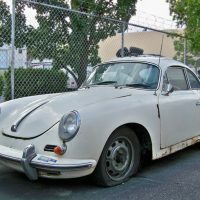 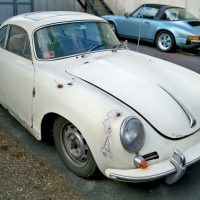 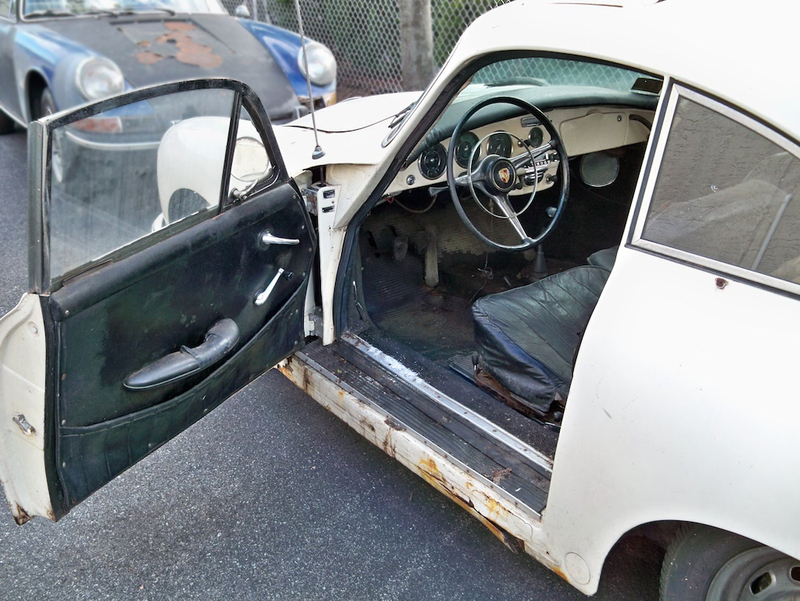 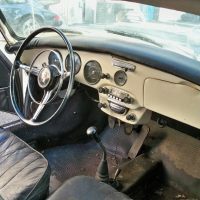 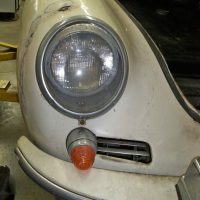 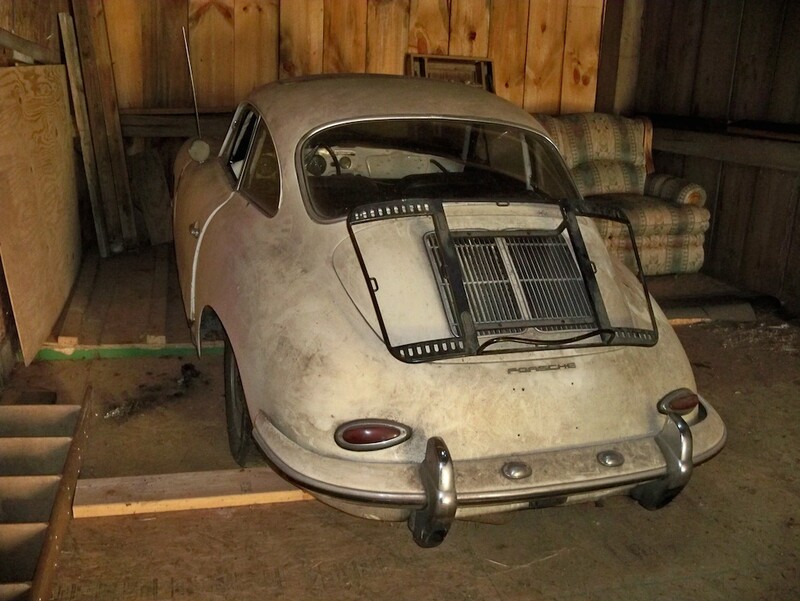 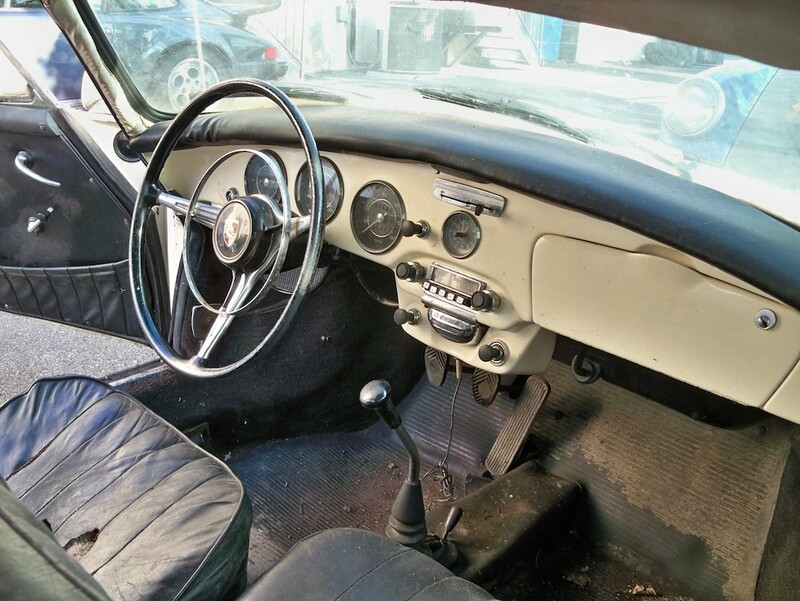 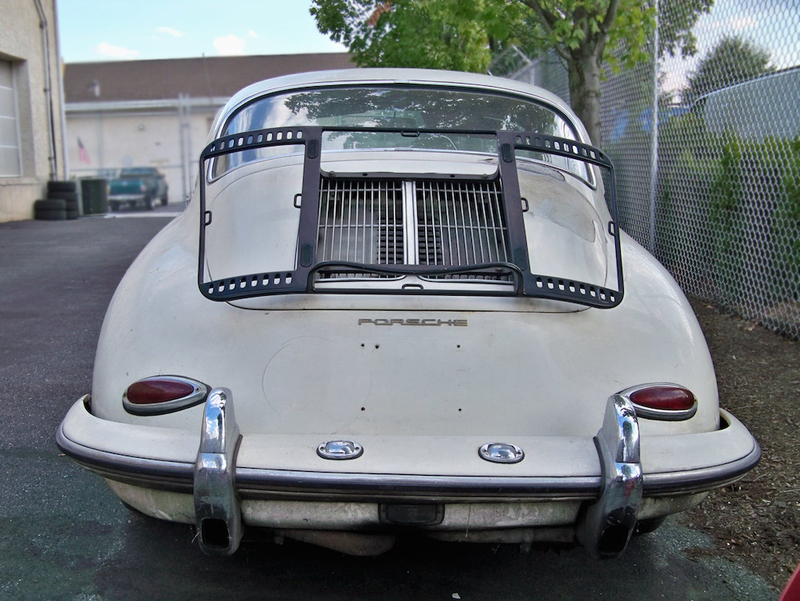 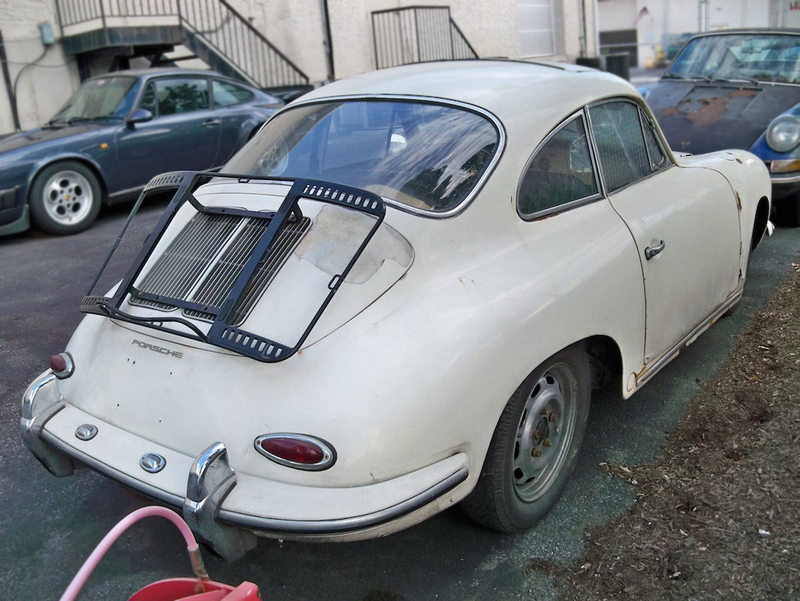 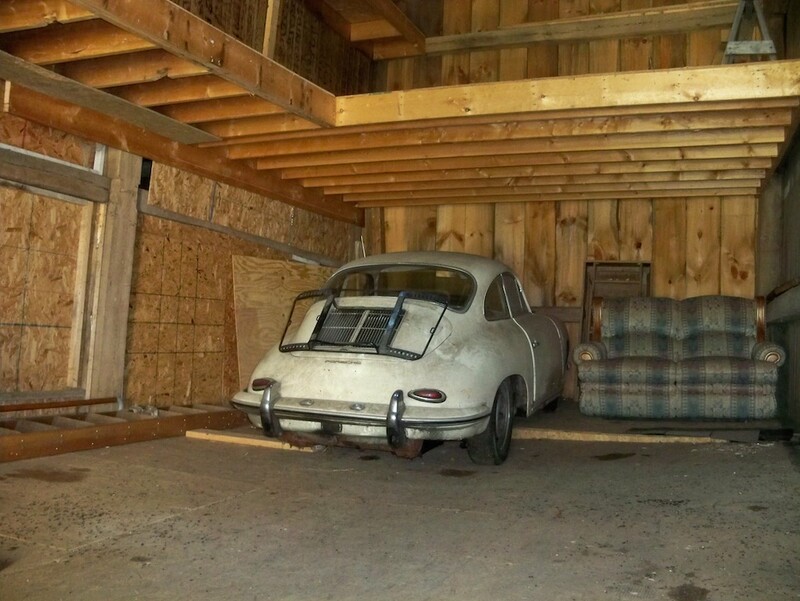 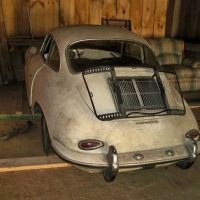 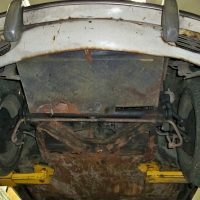 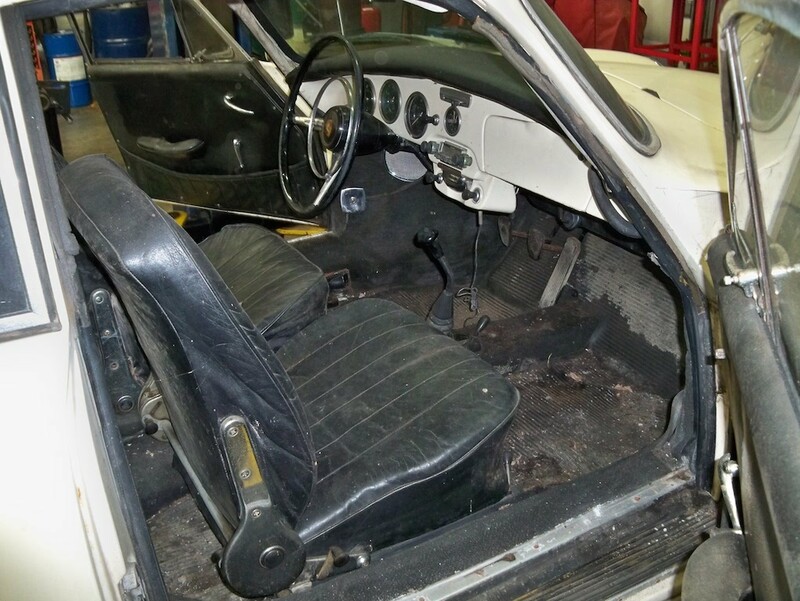 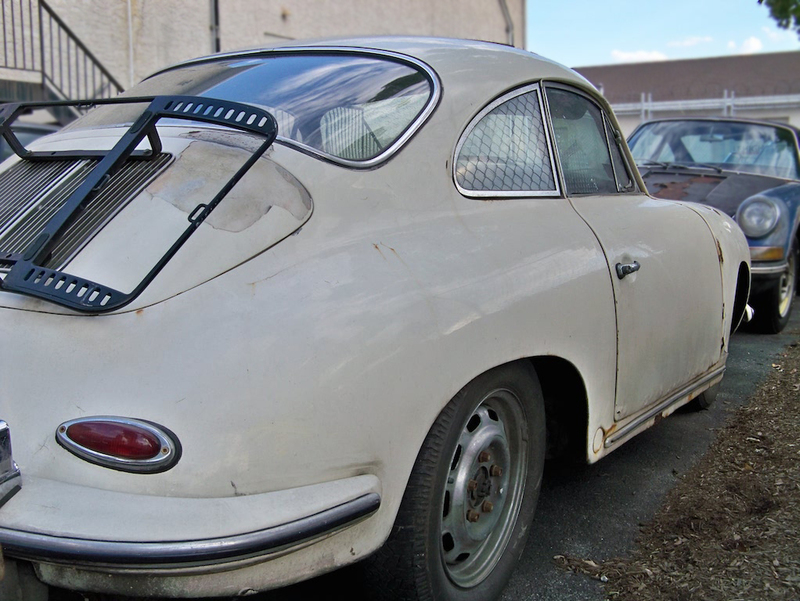 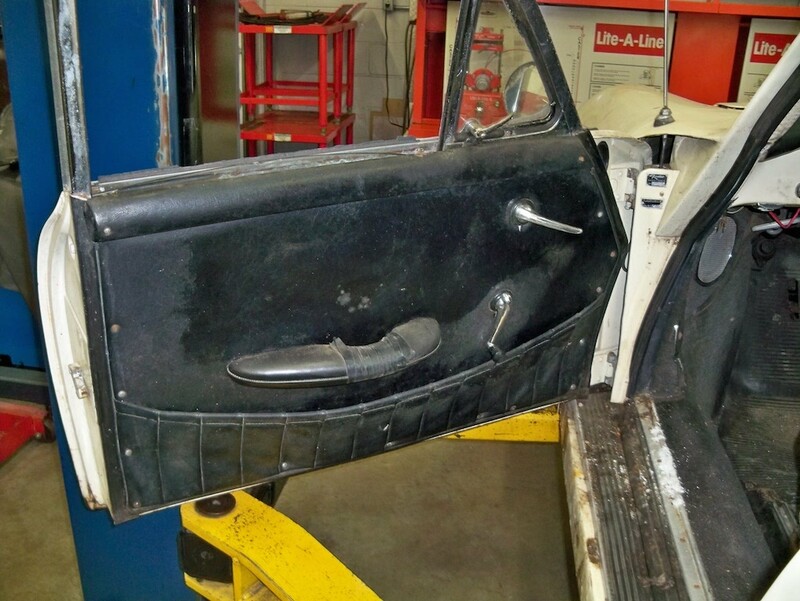 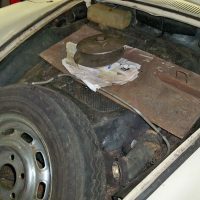 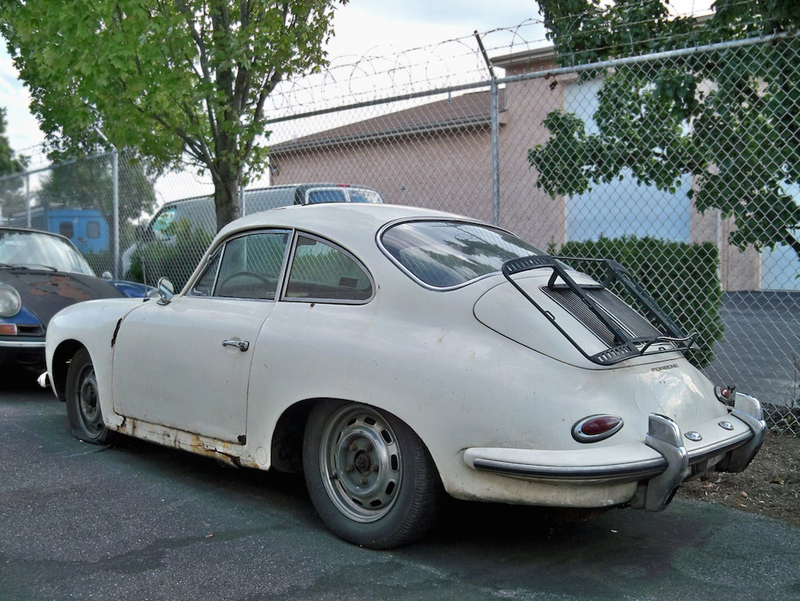 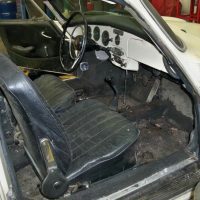 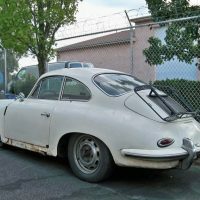 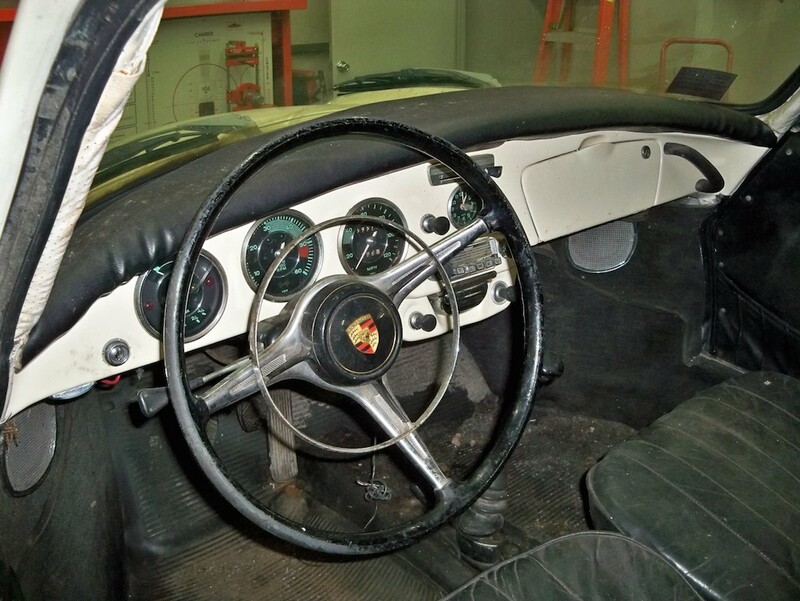 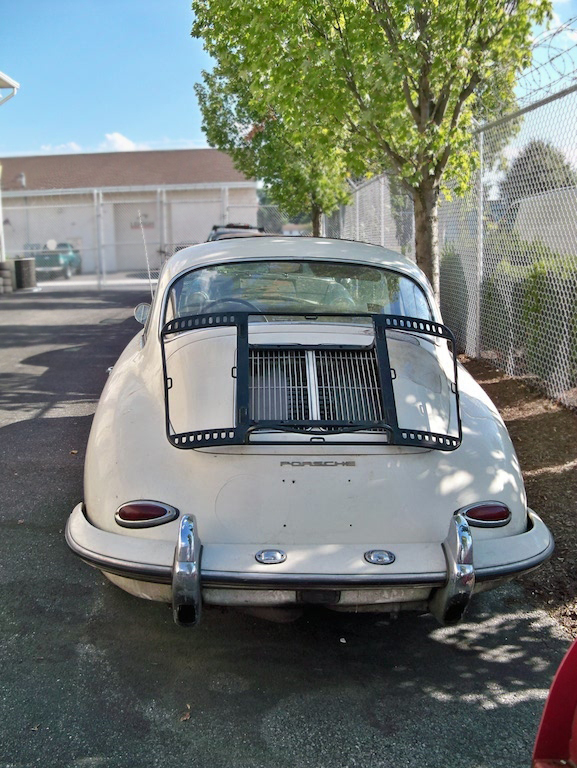 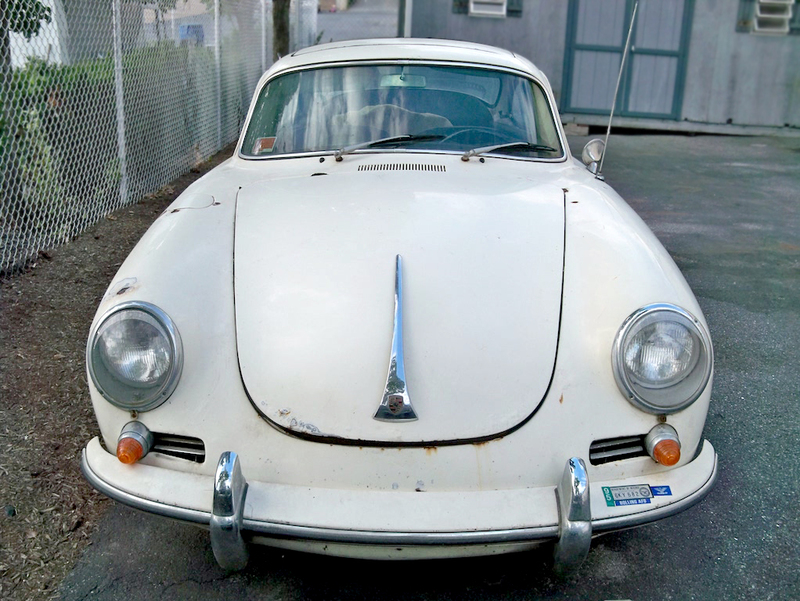 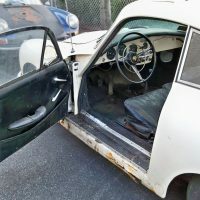 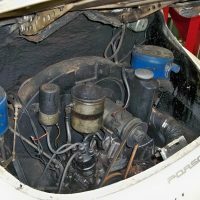 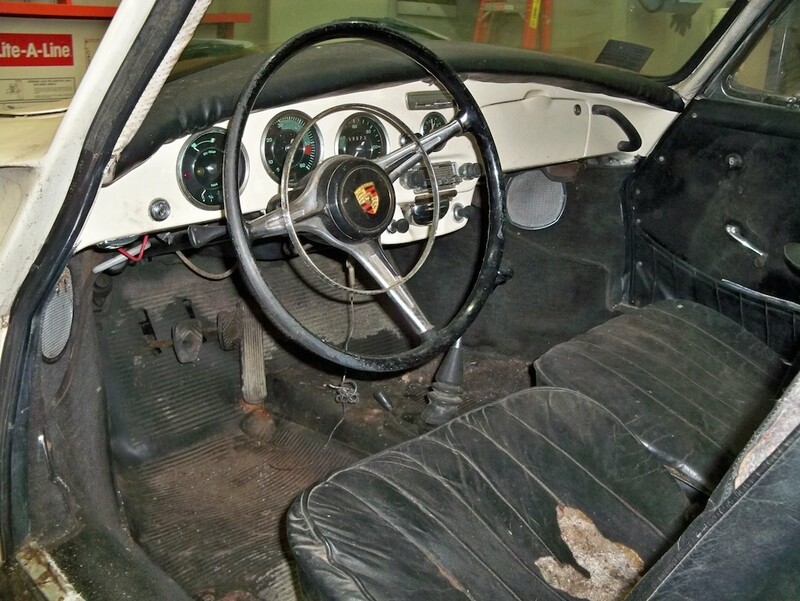 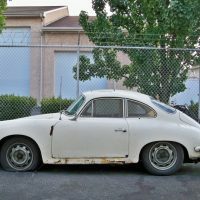 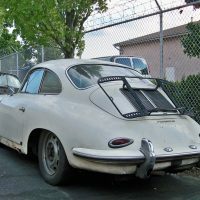 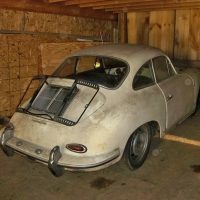 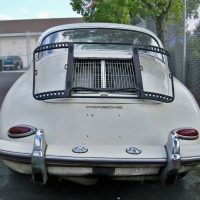 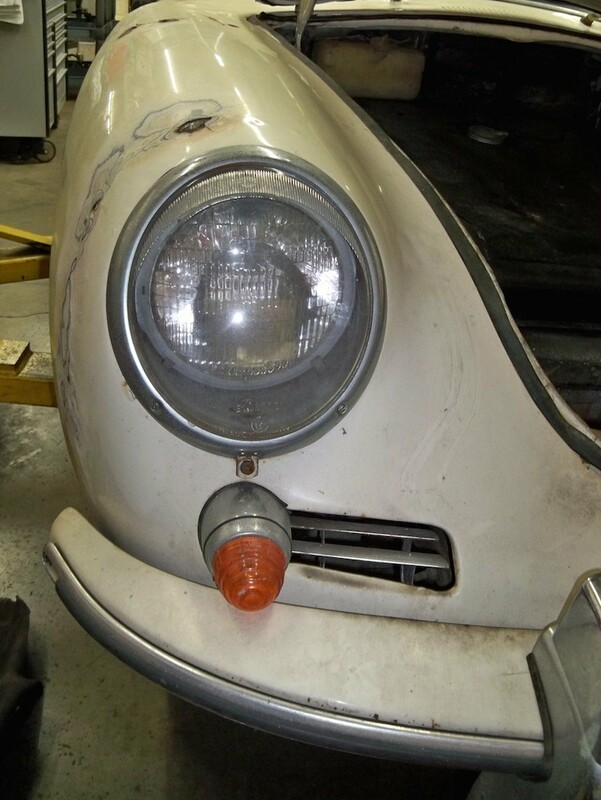 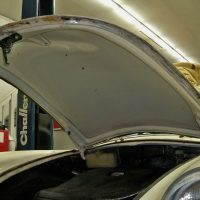 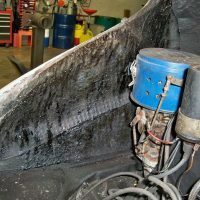 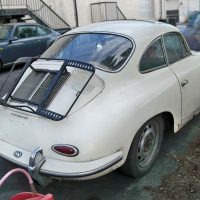 1964 Porsche 356C Barn Find » Specialty Cars Service Center, Inc.
1964 Porsche 356C Sunroof Coupe with 58,570 miles on the odometer. 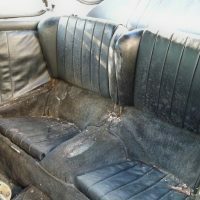 The color is Champagne with black leather interior. 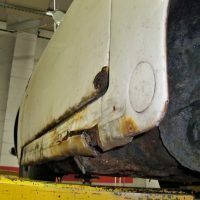 This was a European delivery car. 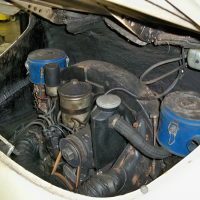 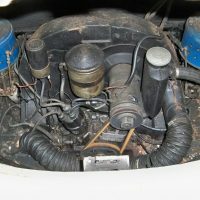 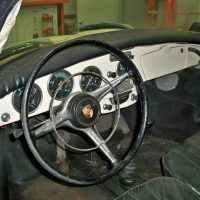 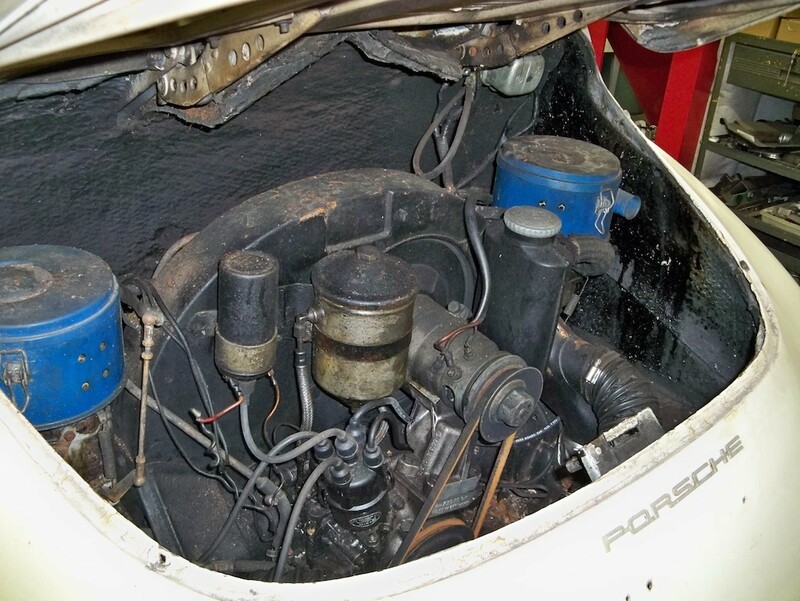 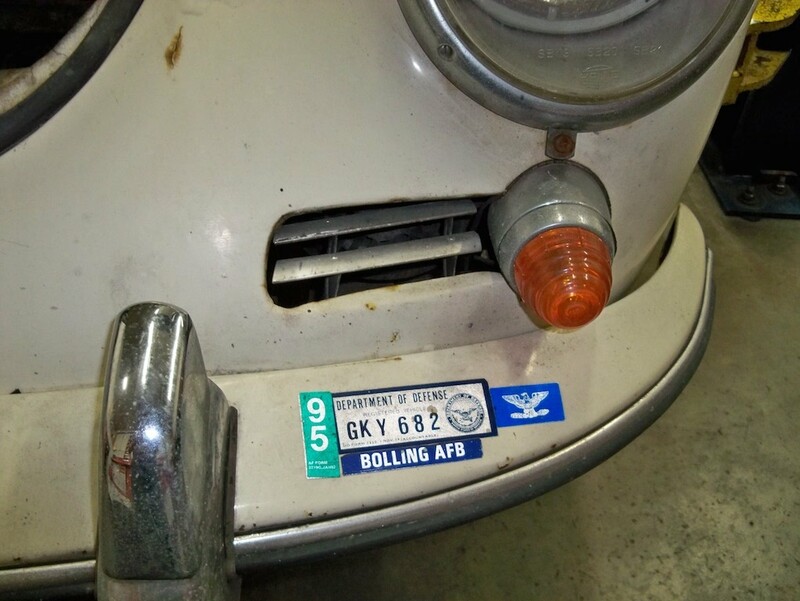 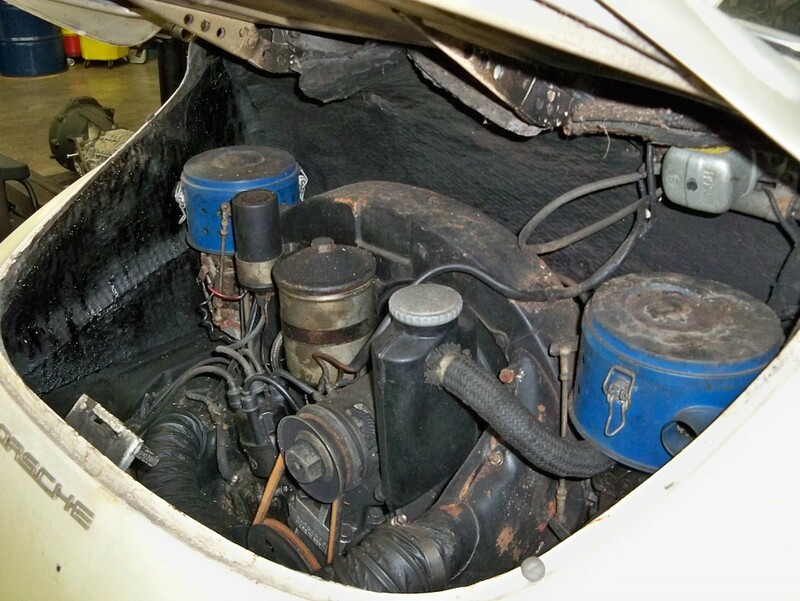 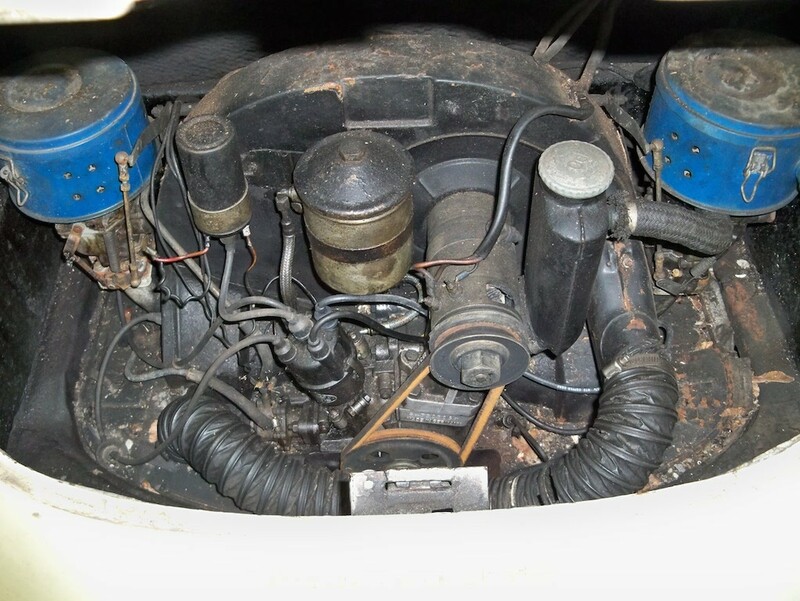 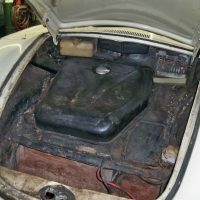 The car has the original engine; number 730 309 as listed on the Kardex. 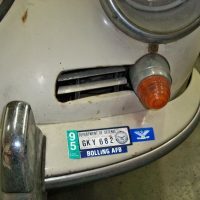 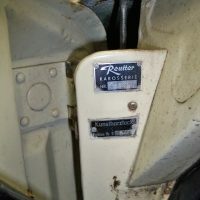 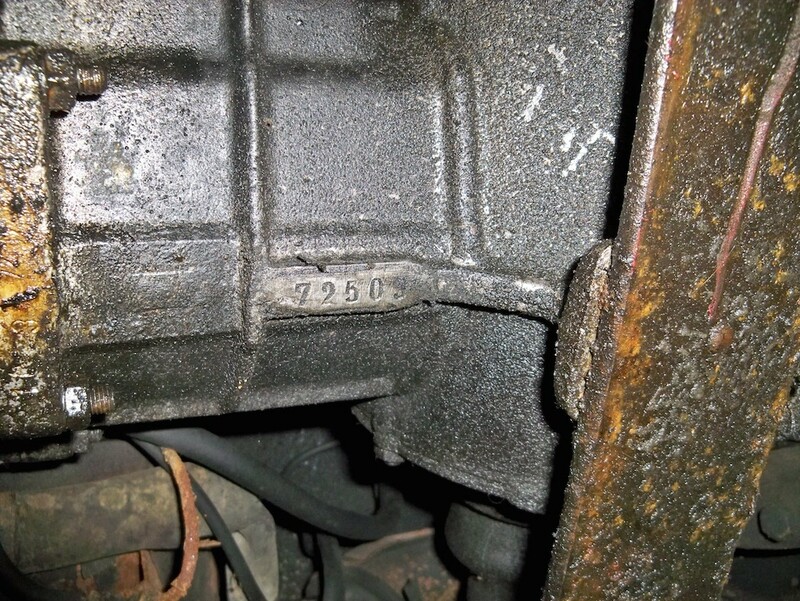 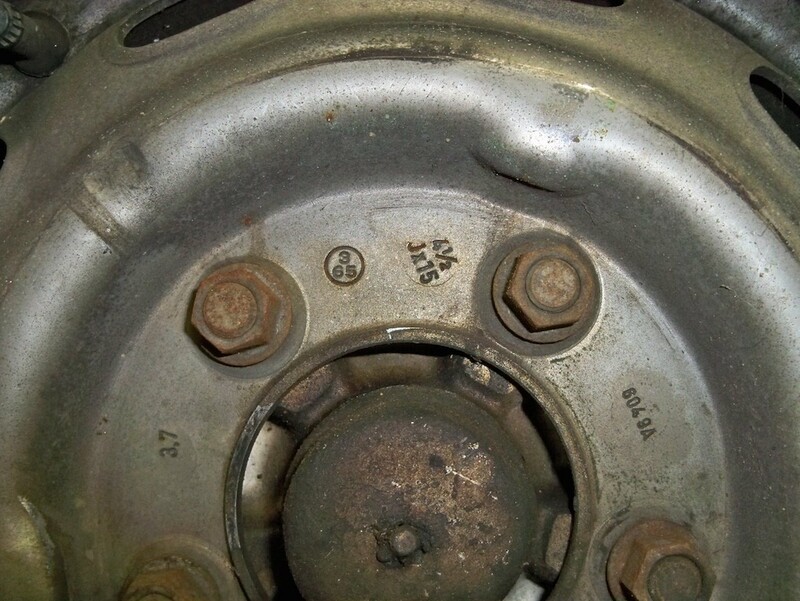 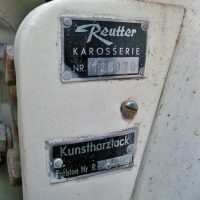 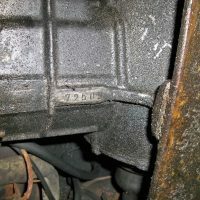 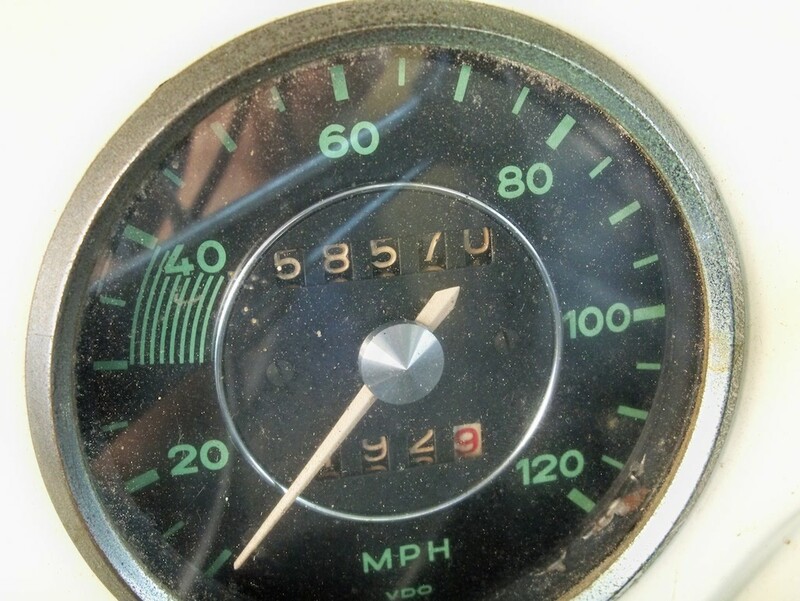 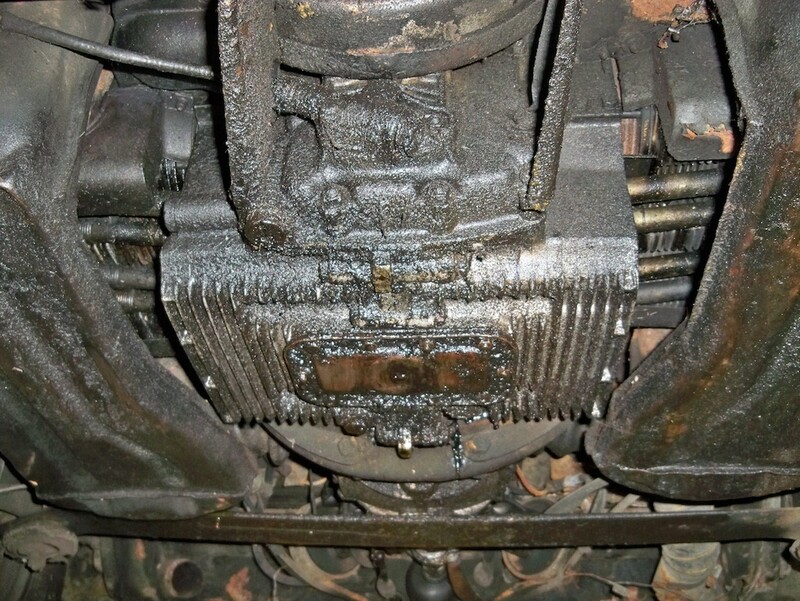 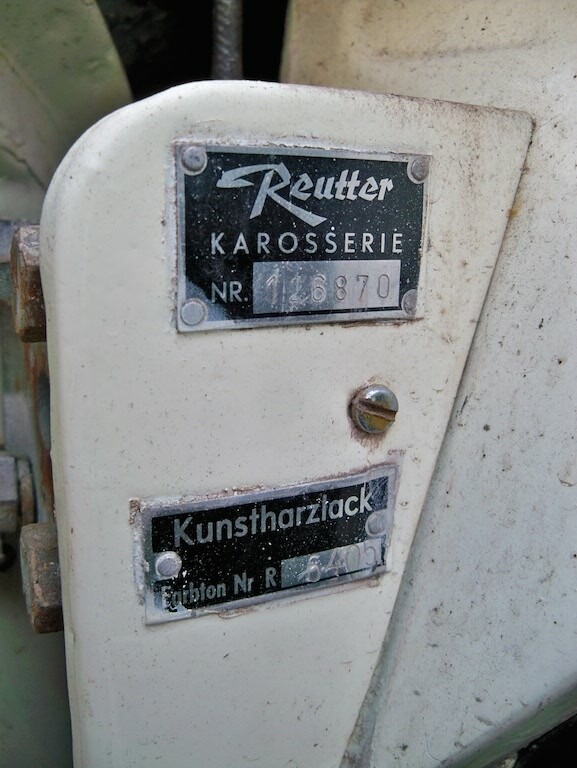 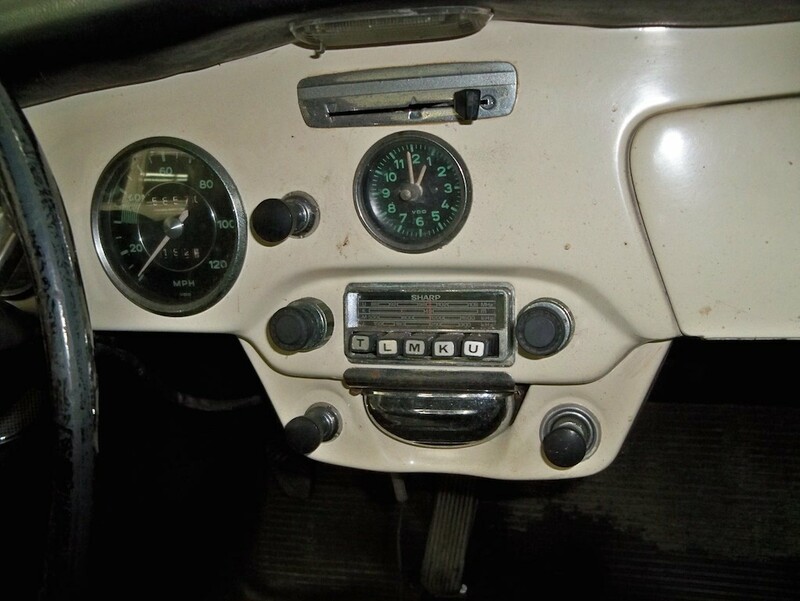 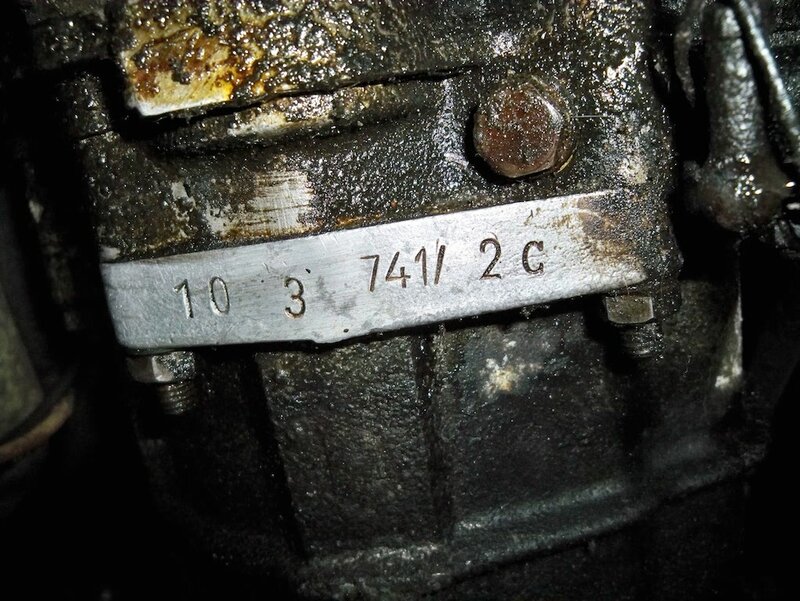 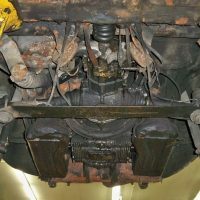 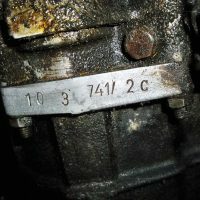 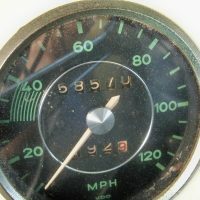 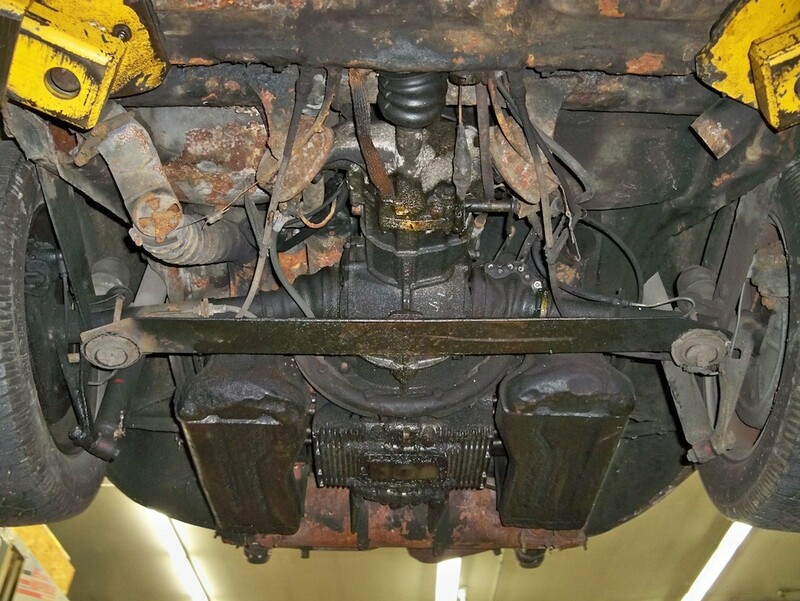 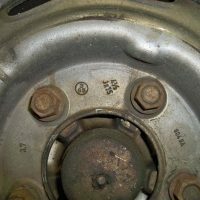 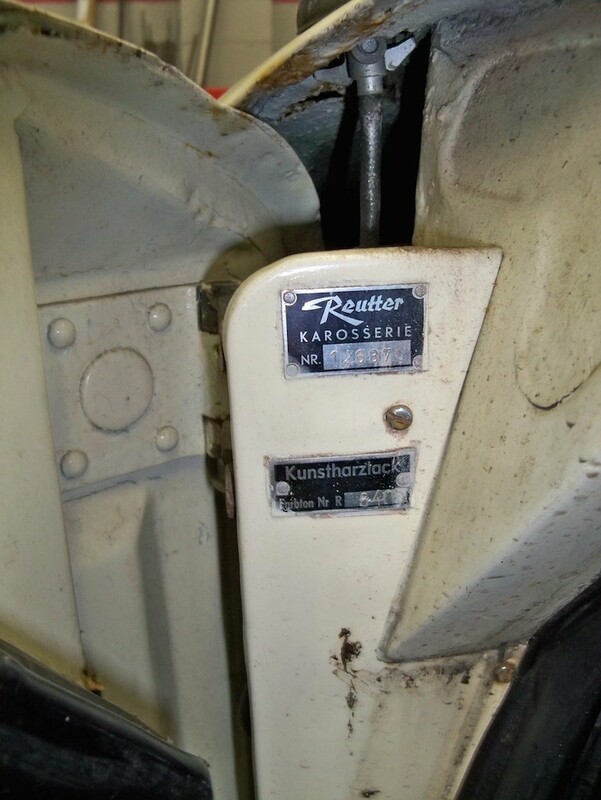 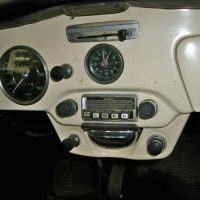 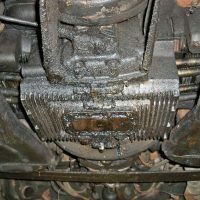 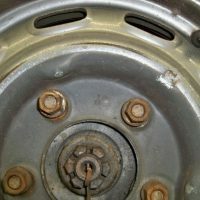 The transmission is a 1964 C transmission, but does not match the Kardex. 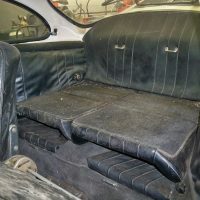 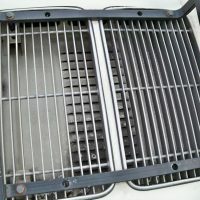 The car has the following options: camber compensator, deluxe horn ring, luggage rack, black leather interior, and sunroof. 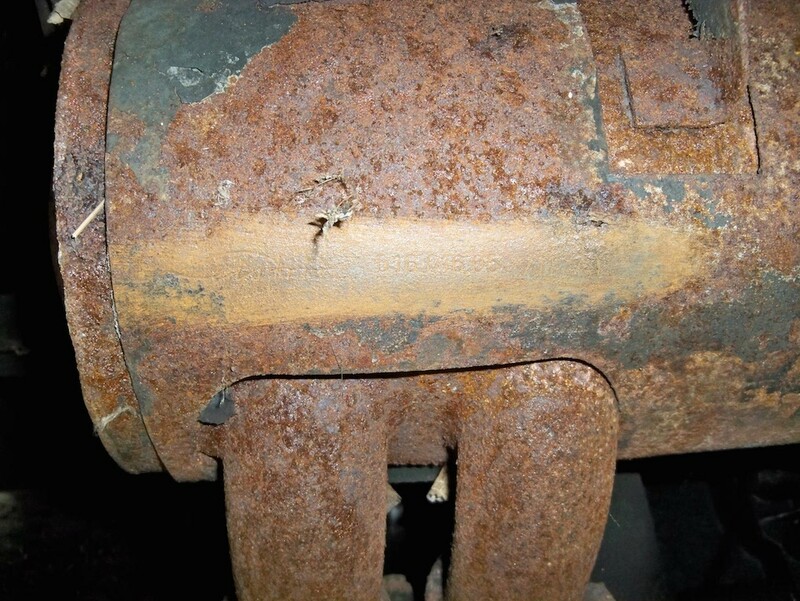 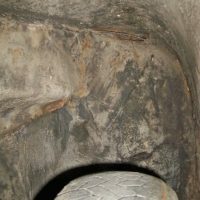 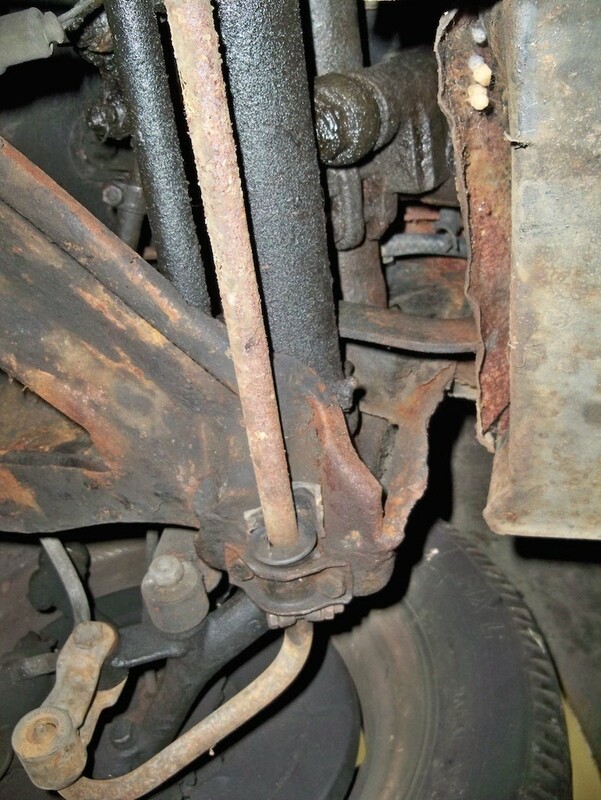 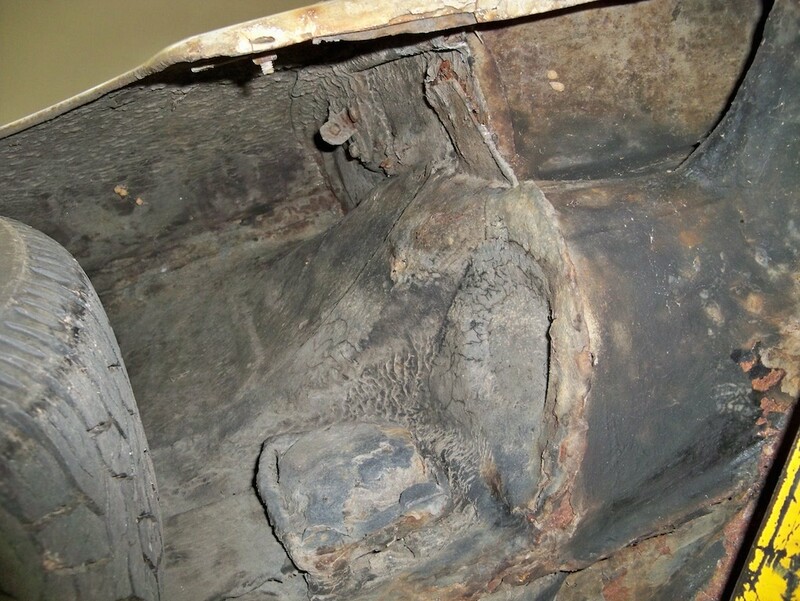 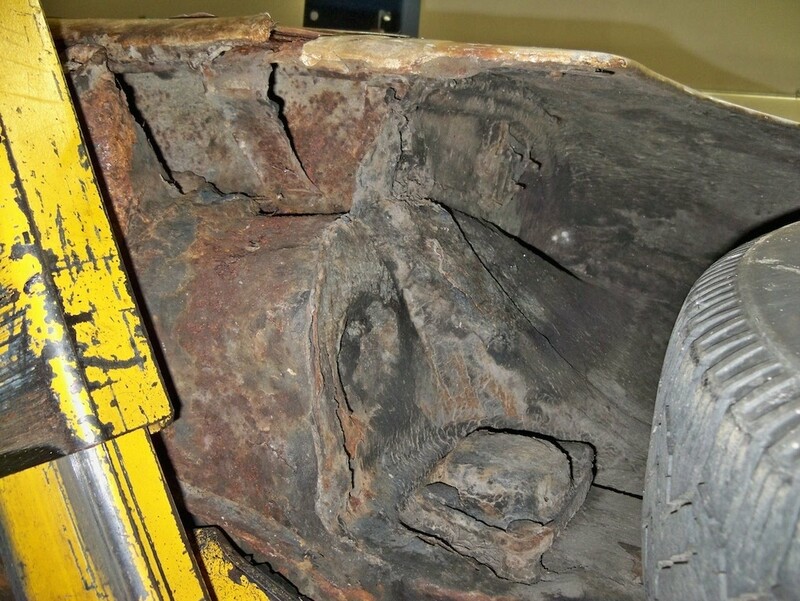 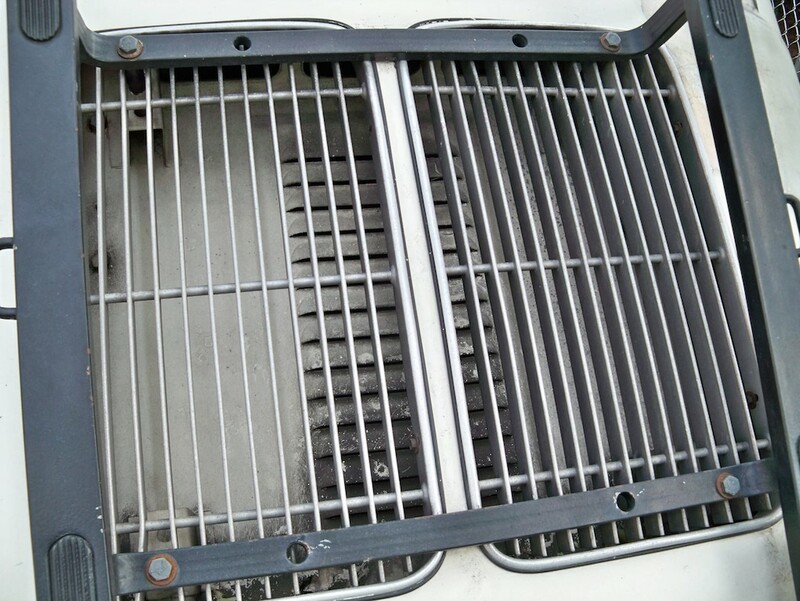 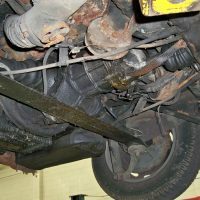 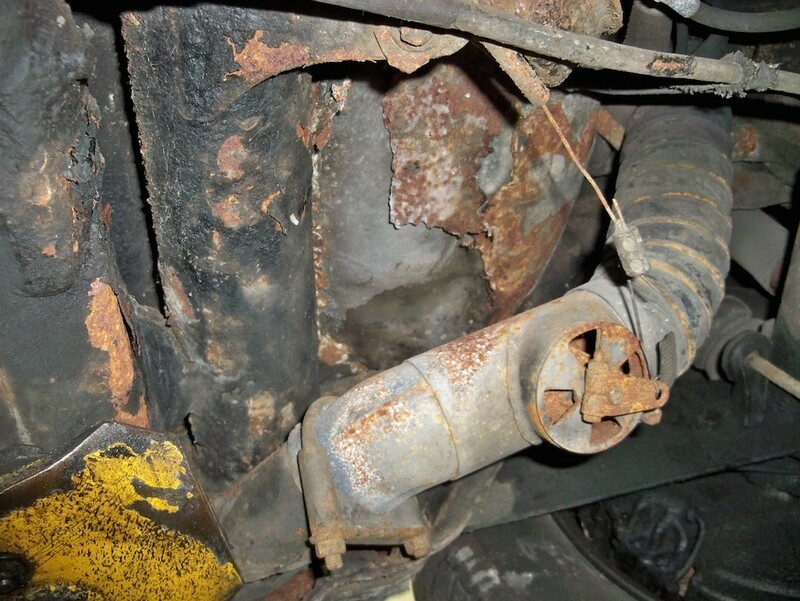 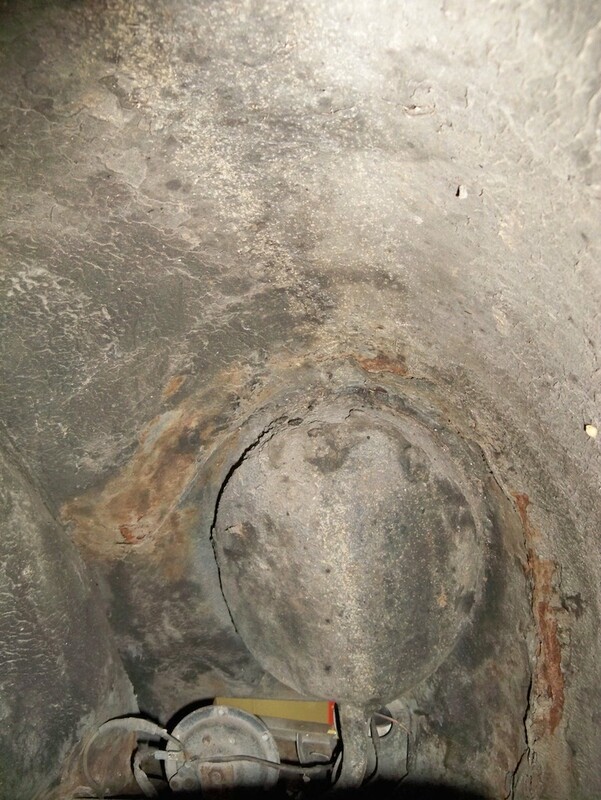 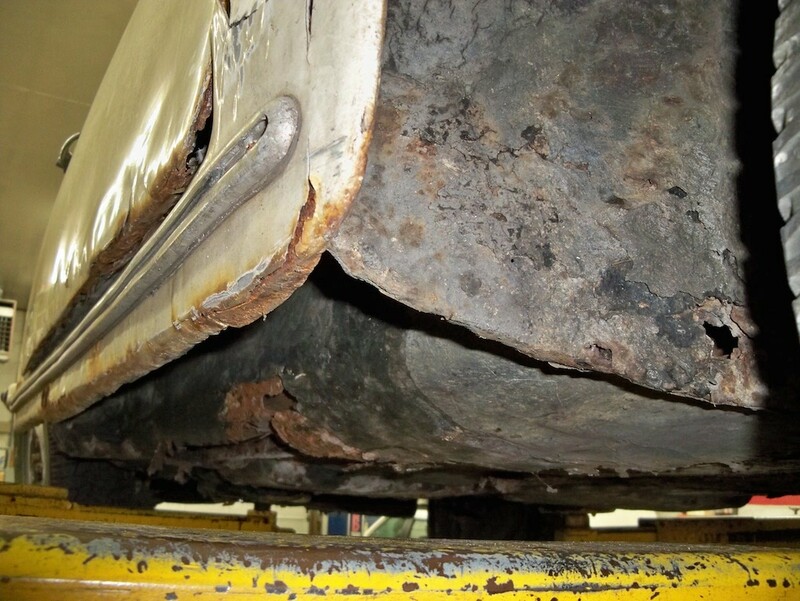 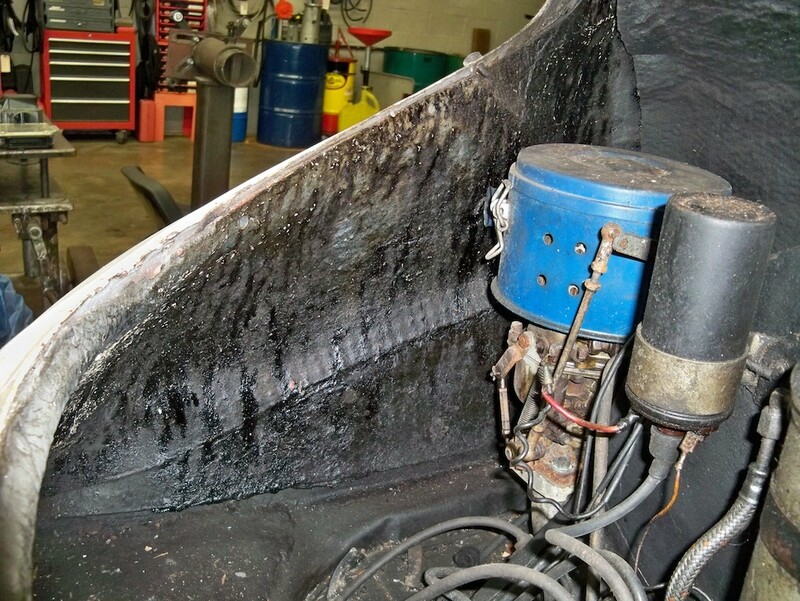 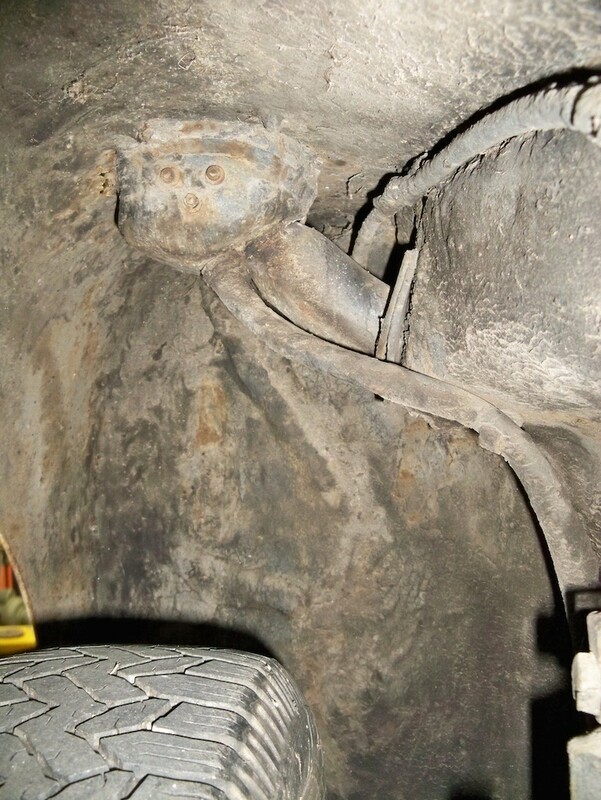 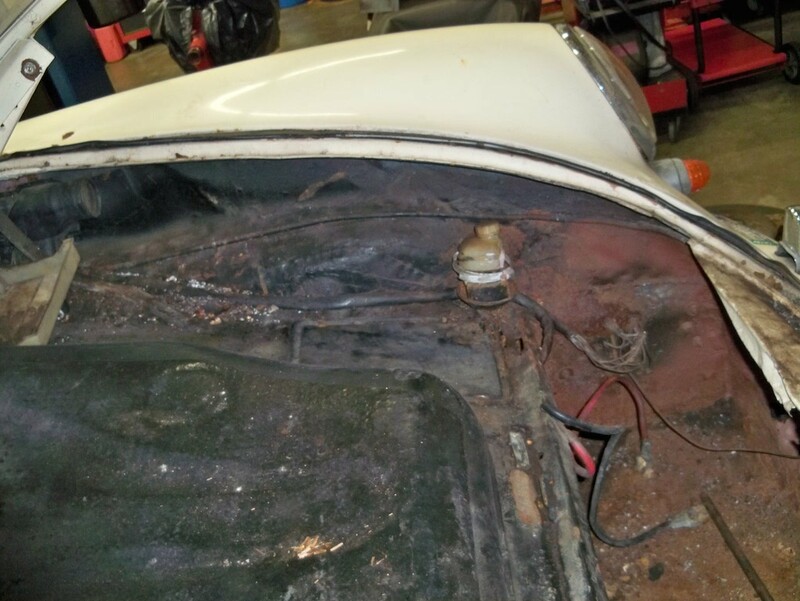 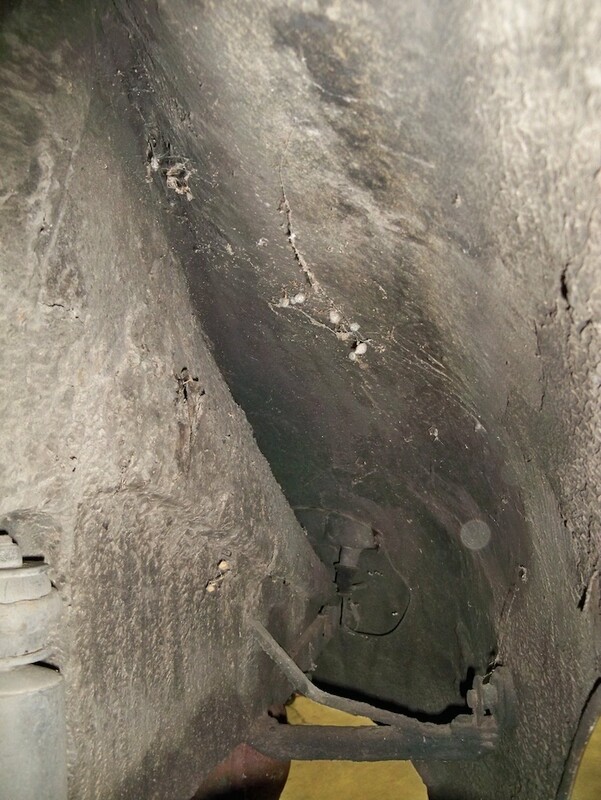 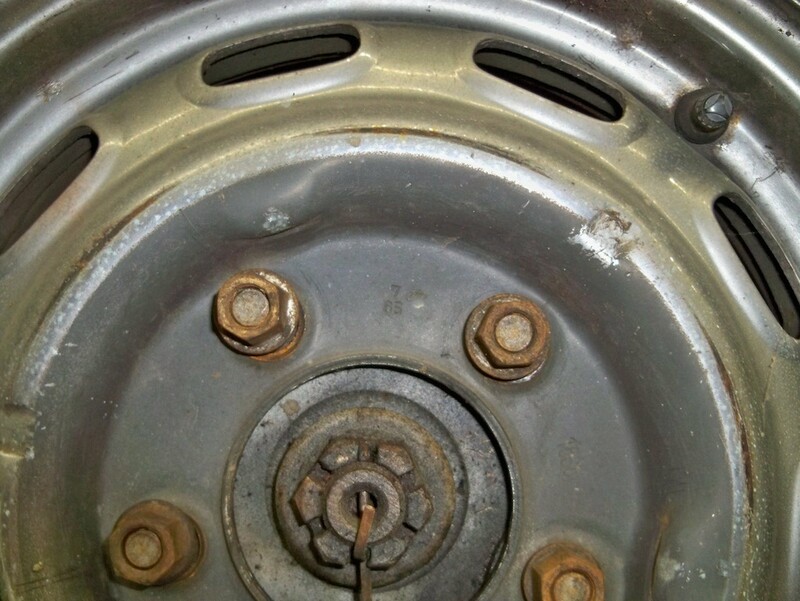 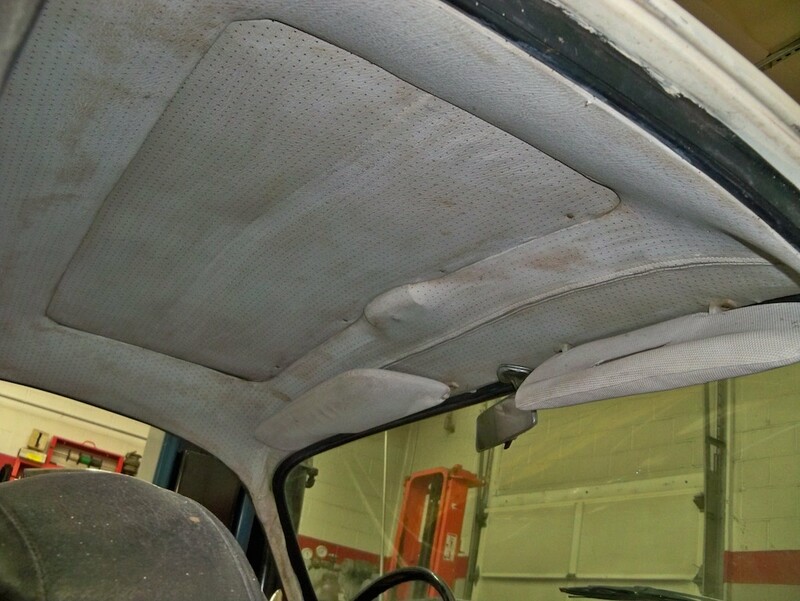 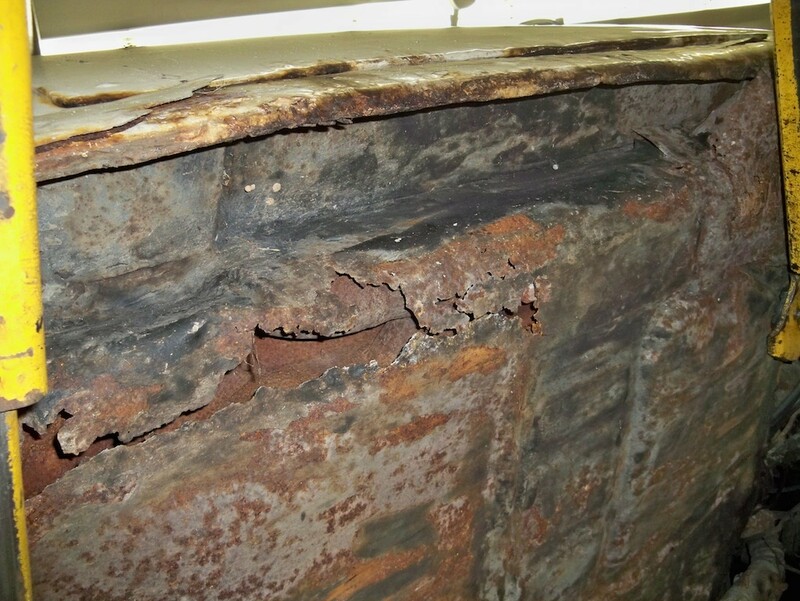 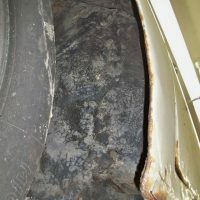 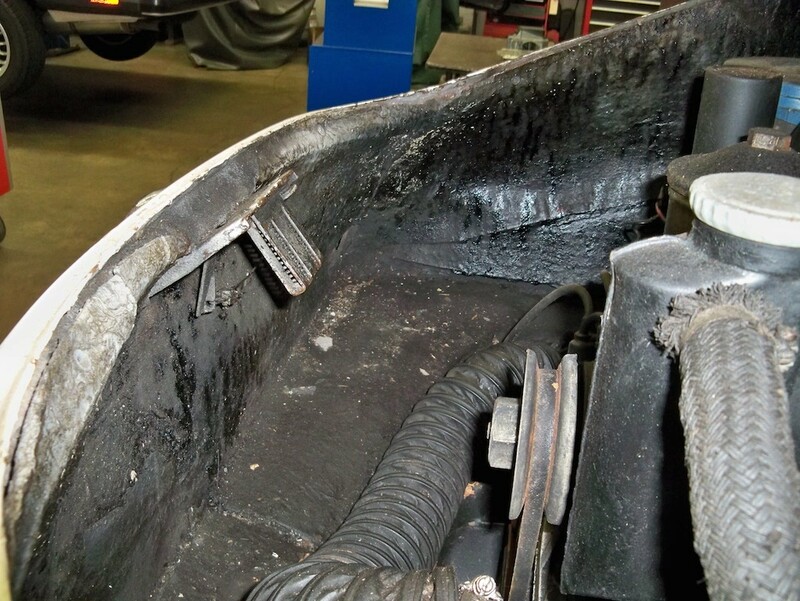 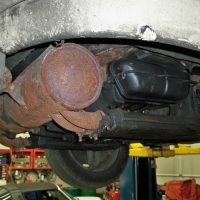 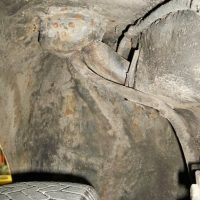 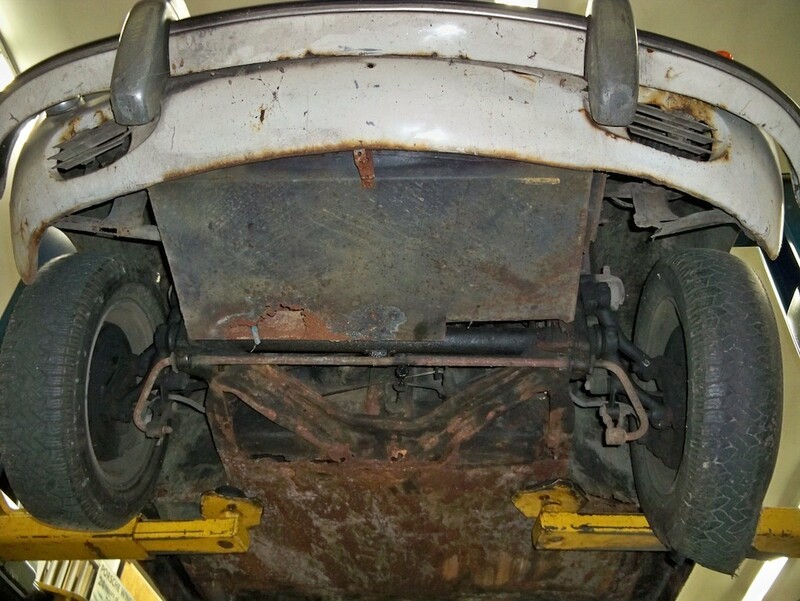 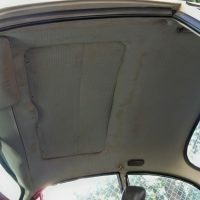 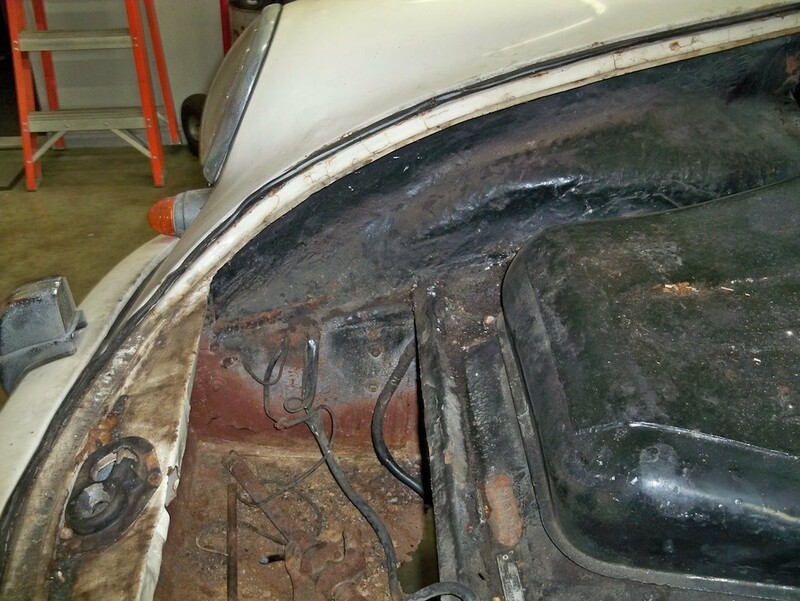 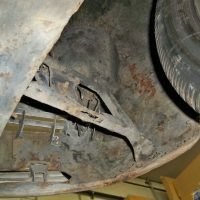 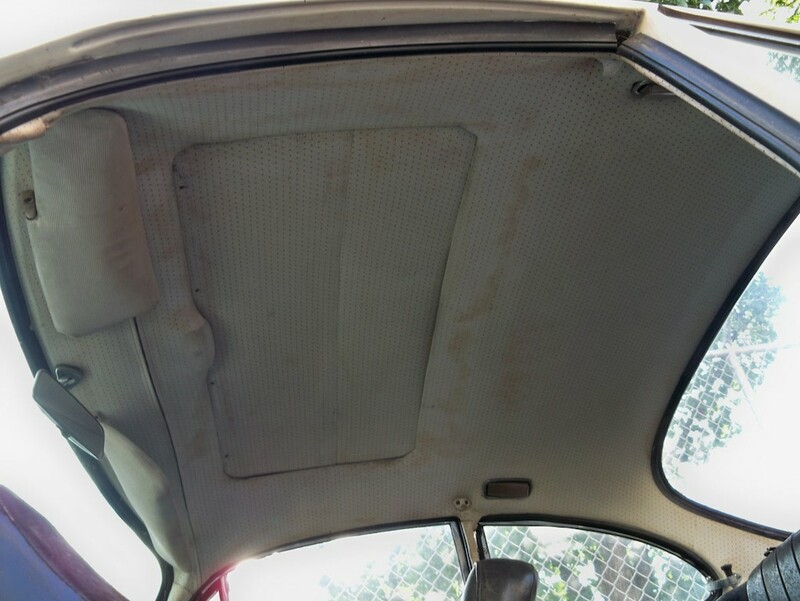 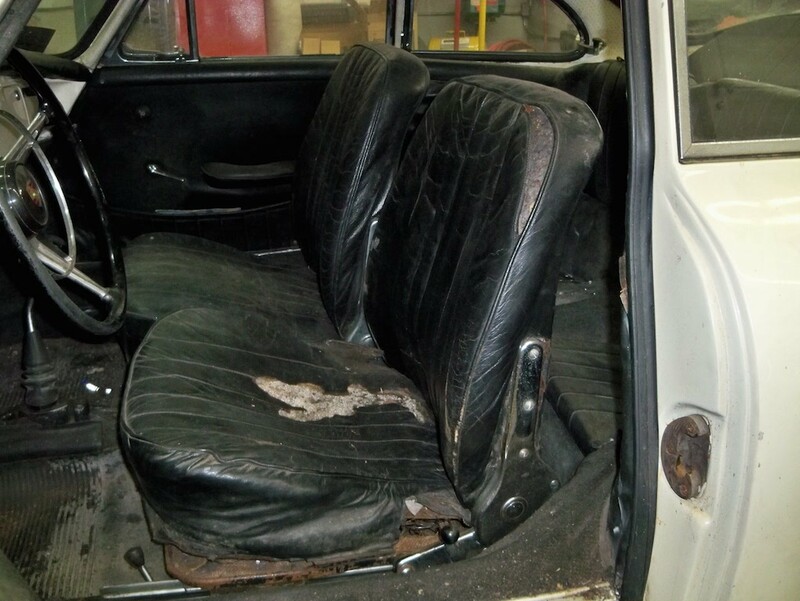 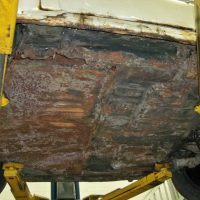 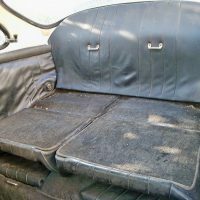 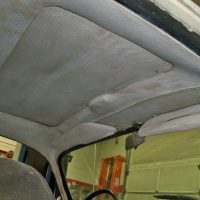 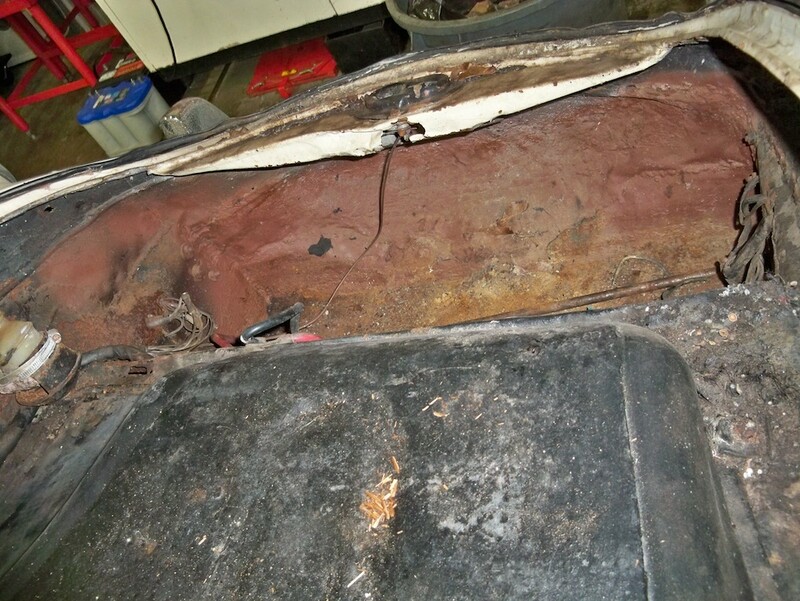 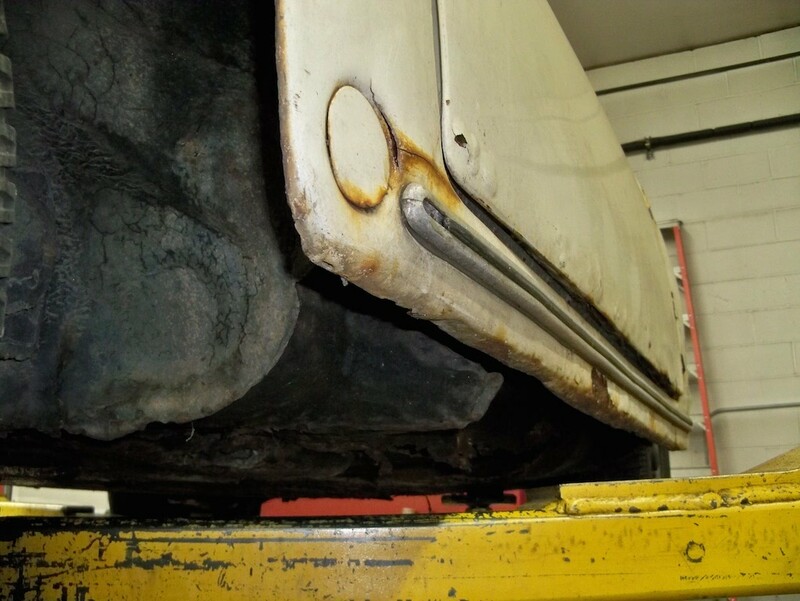 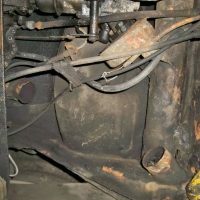 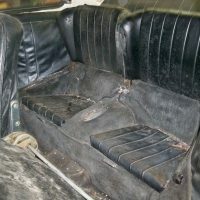 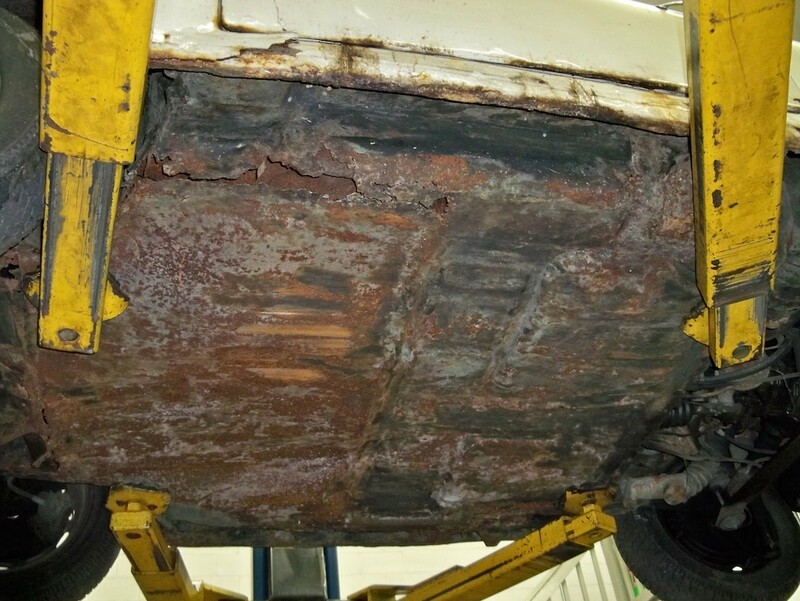 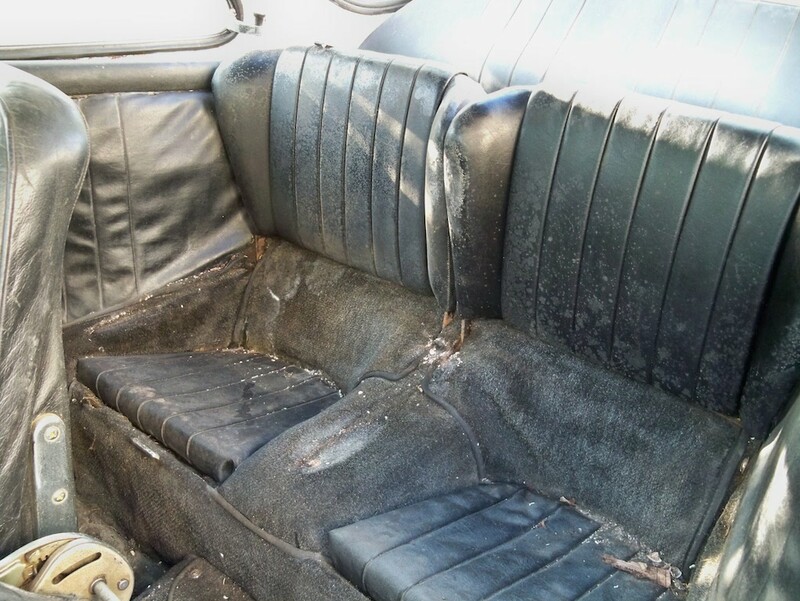 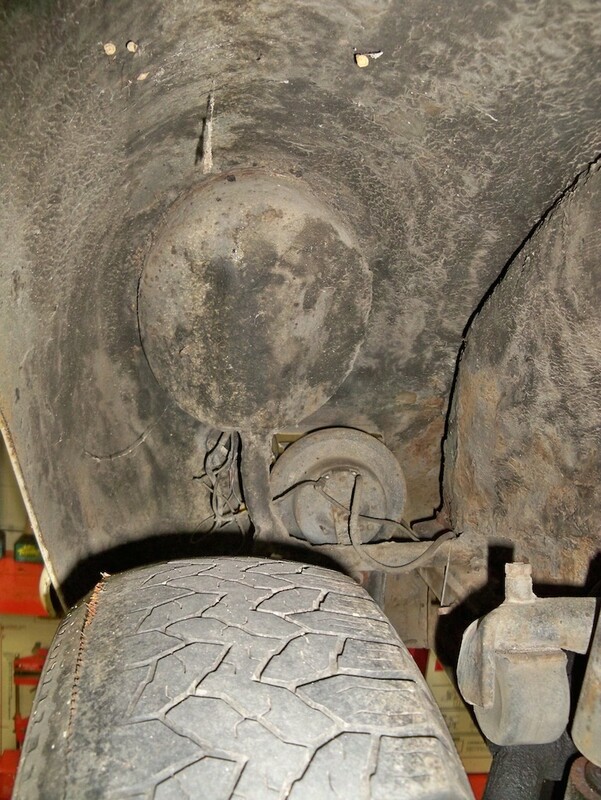 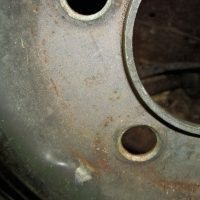 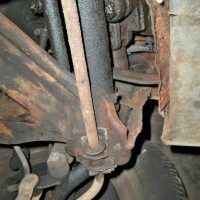 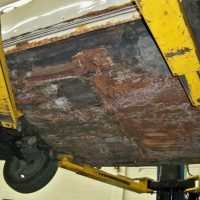 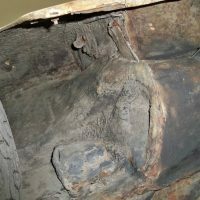 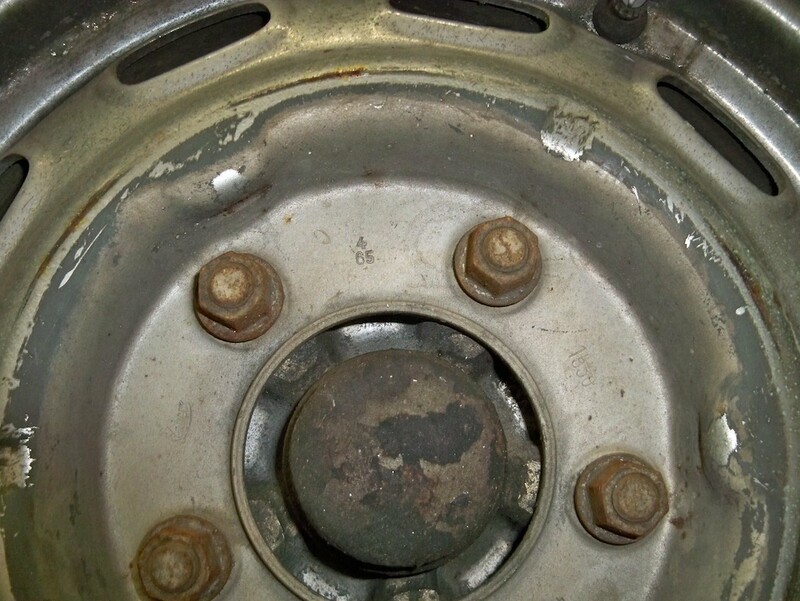 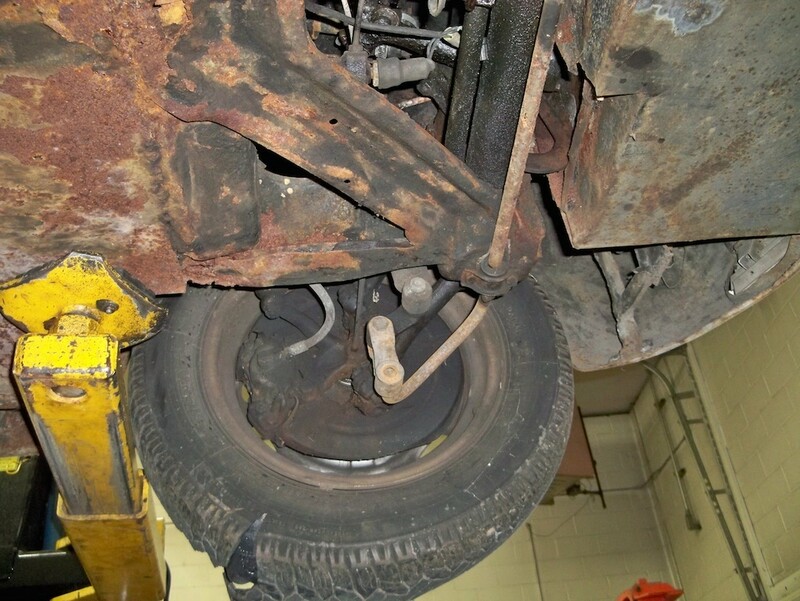 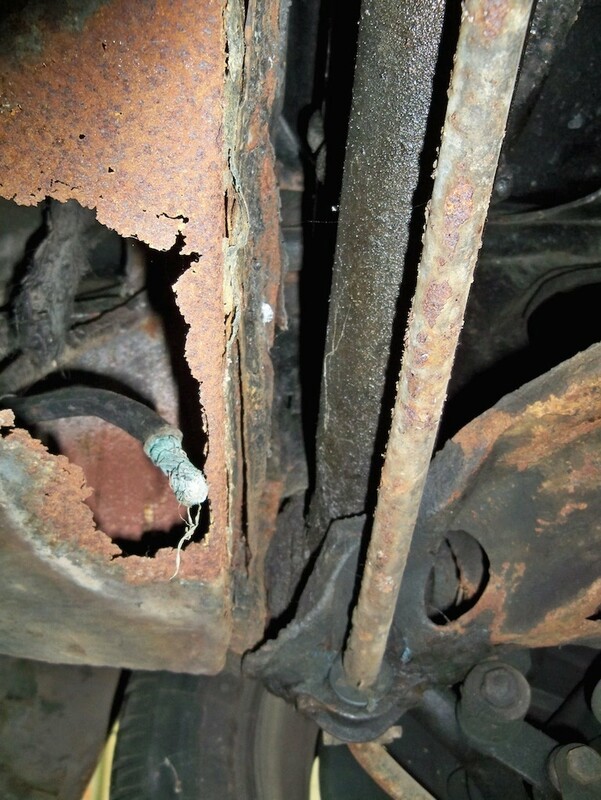 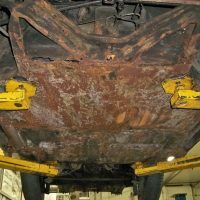 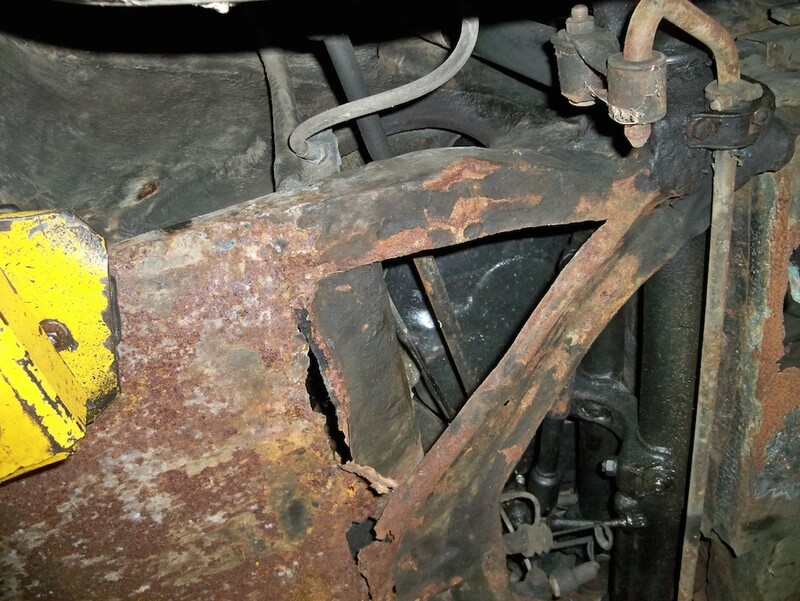 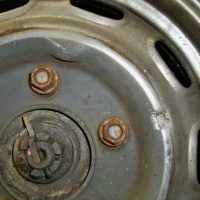 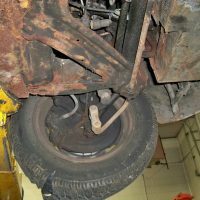 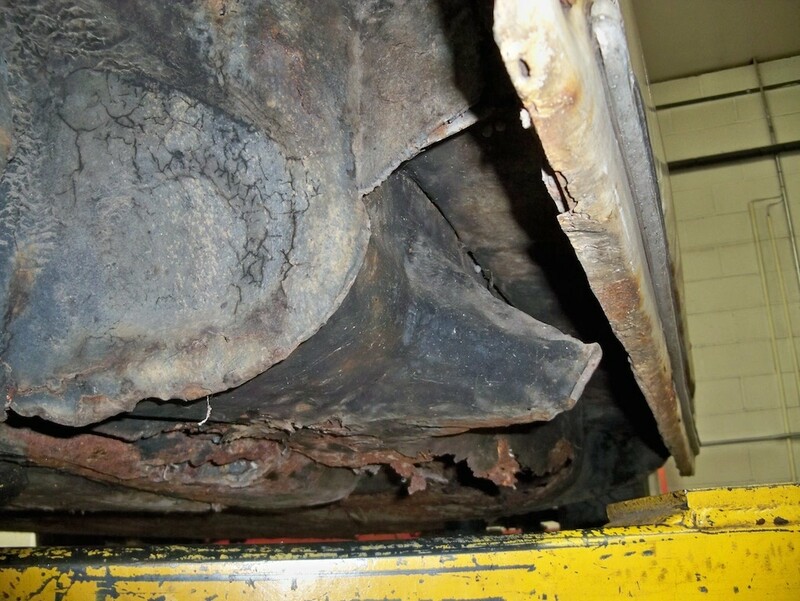 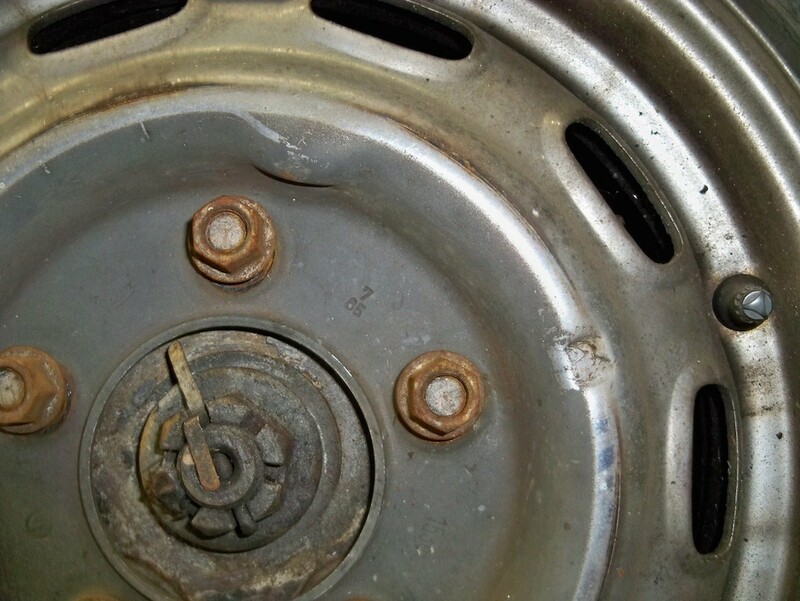 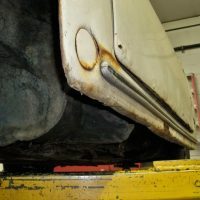 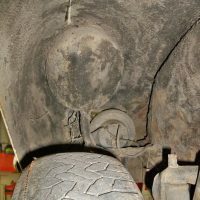 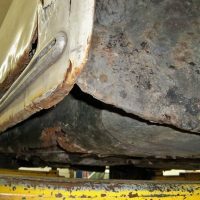 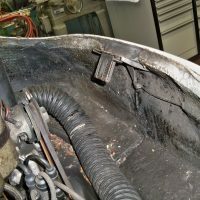 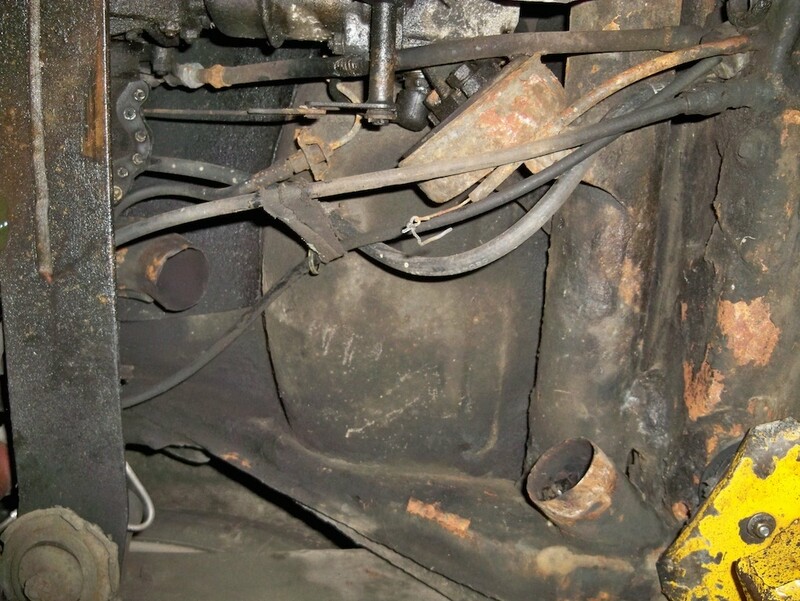 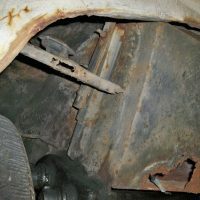 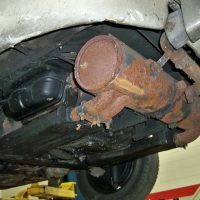 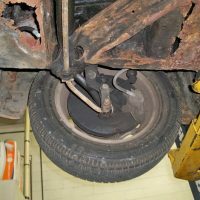 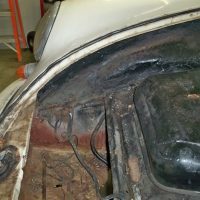 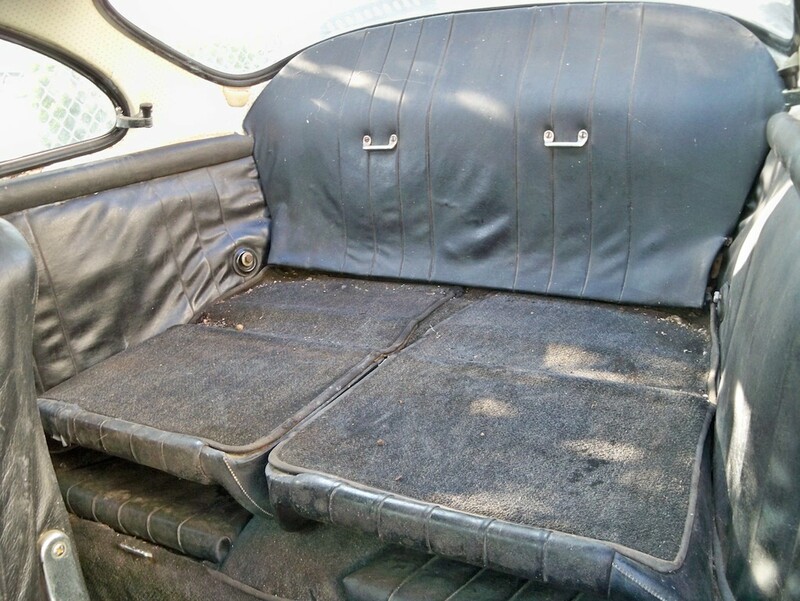 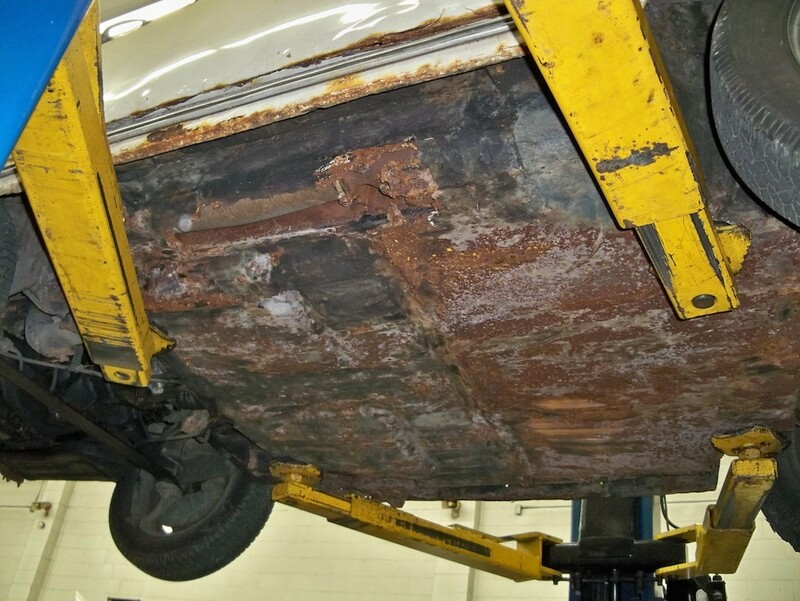 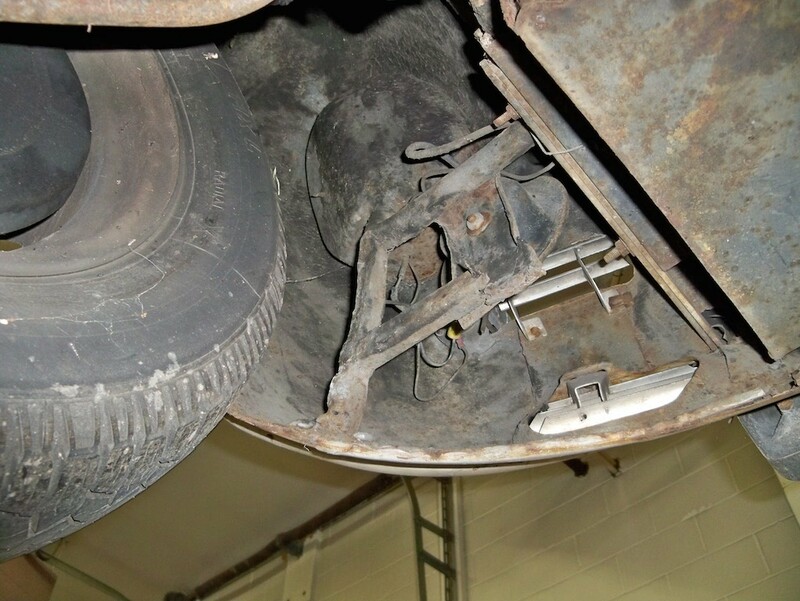 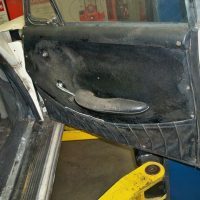 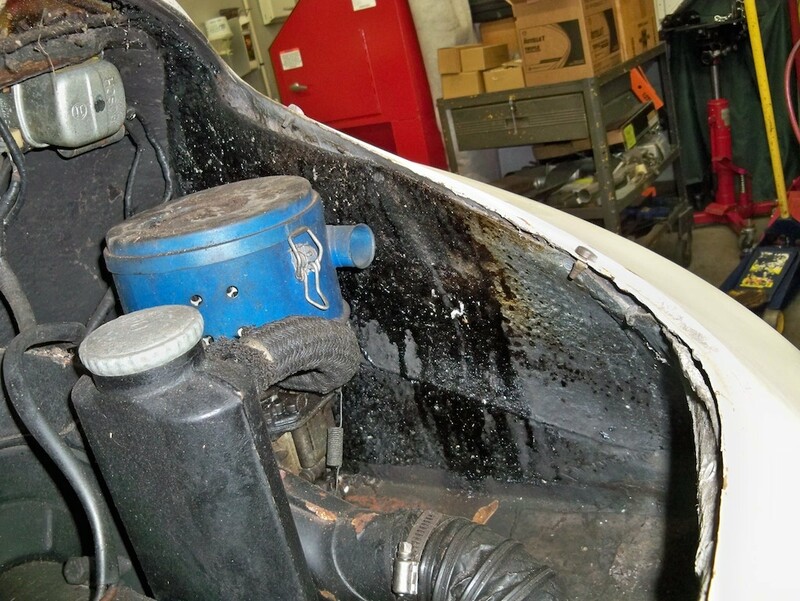 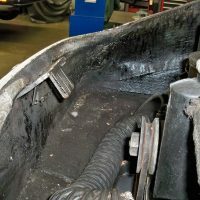 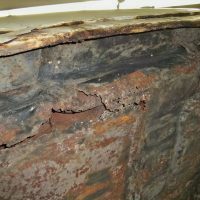 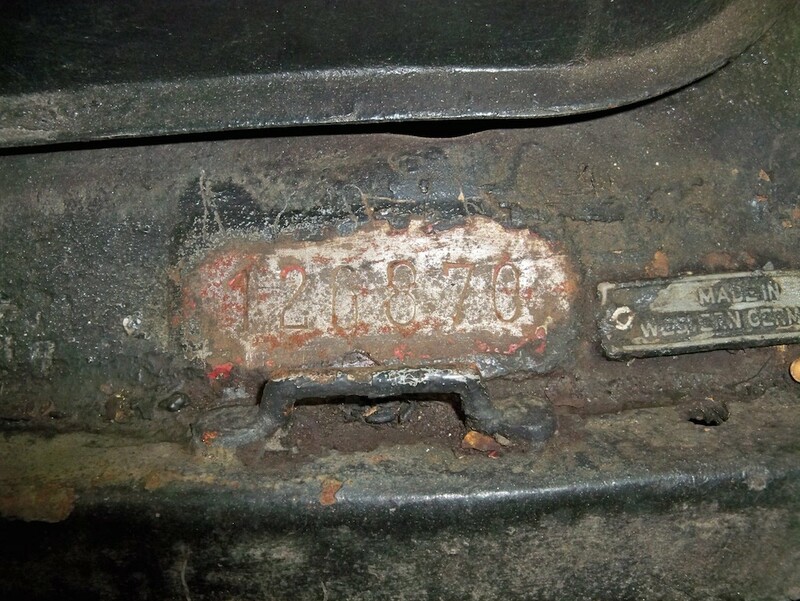 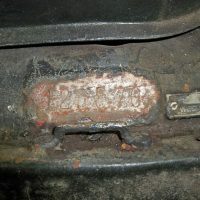 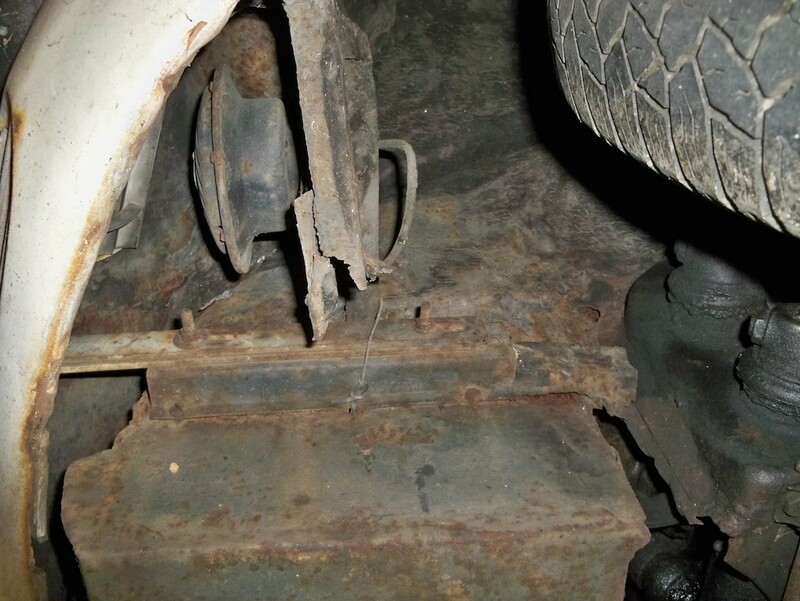 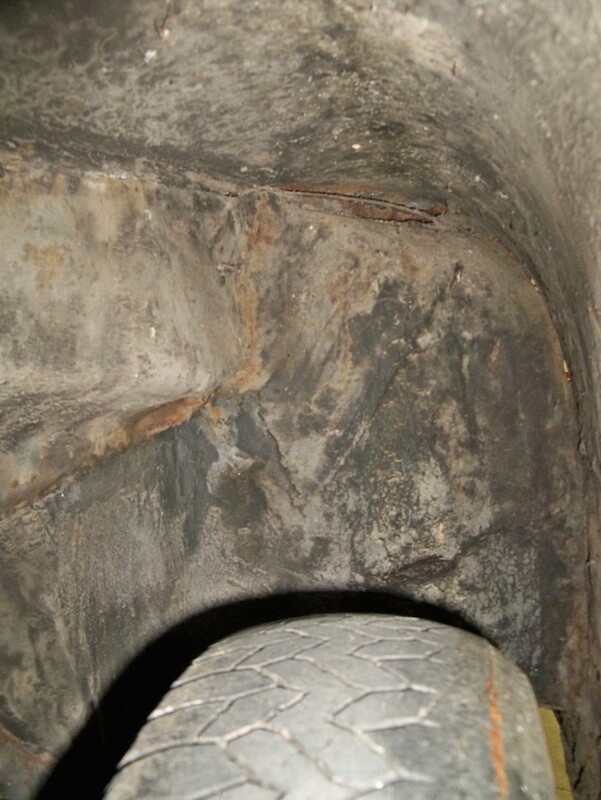 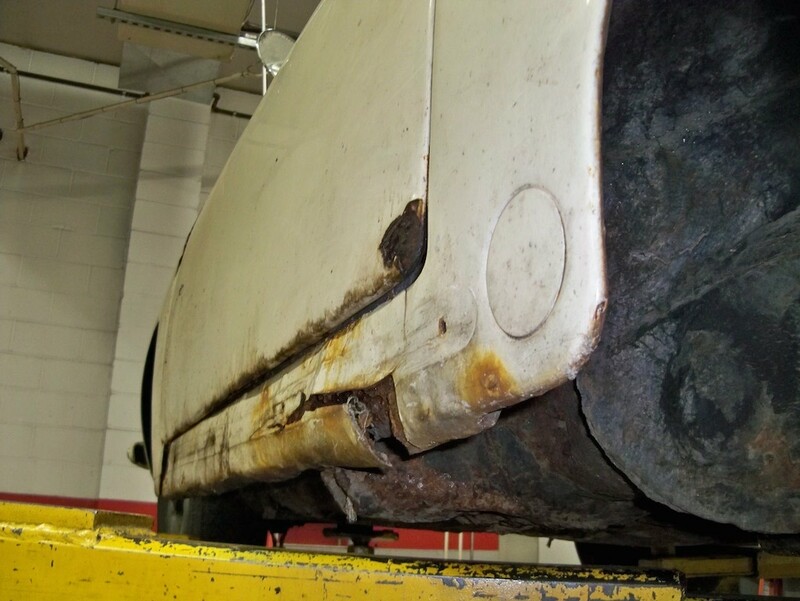 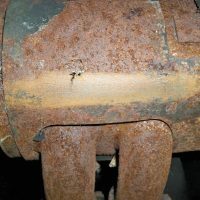 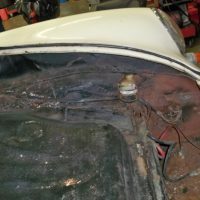 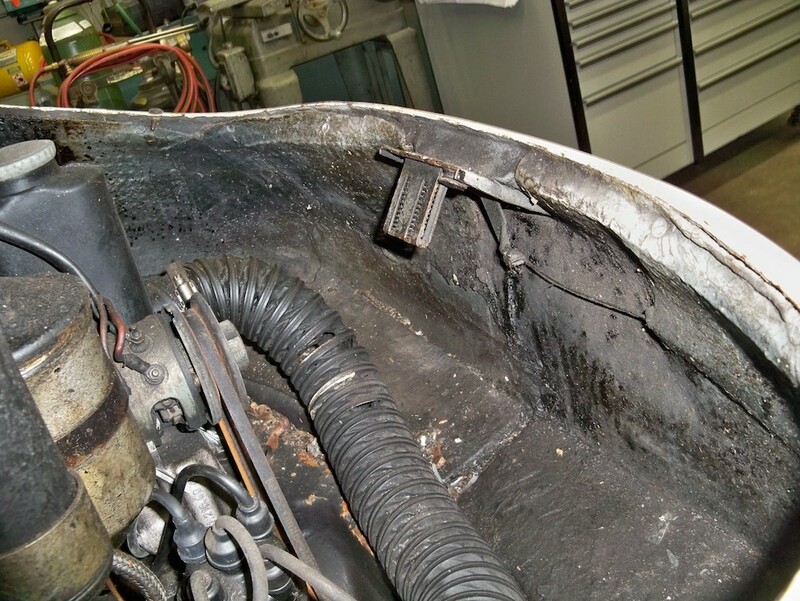 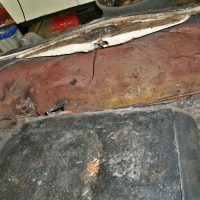 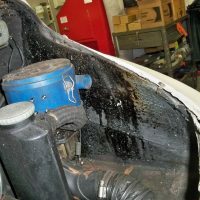 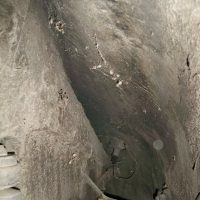 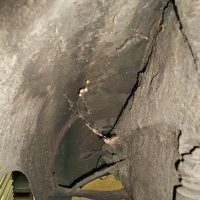 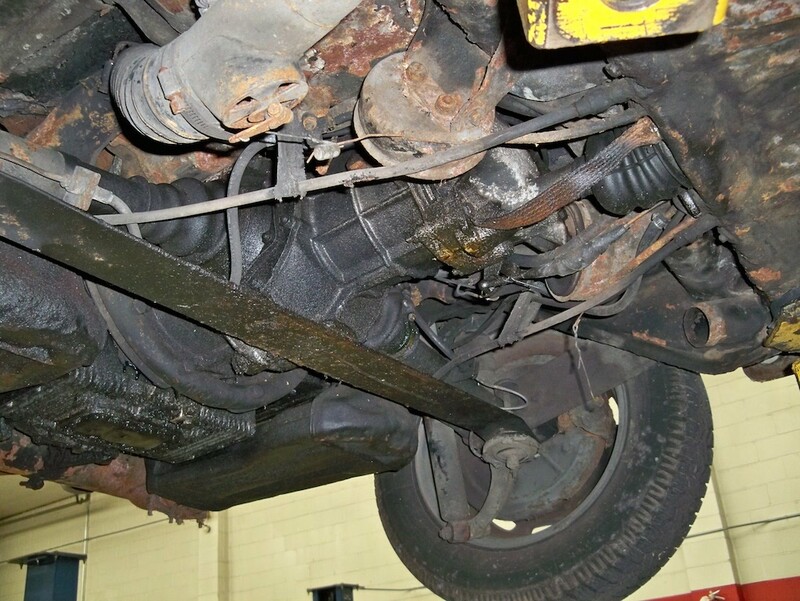 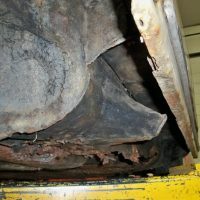 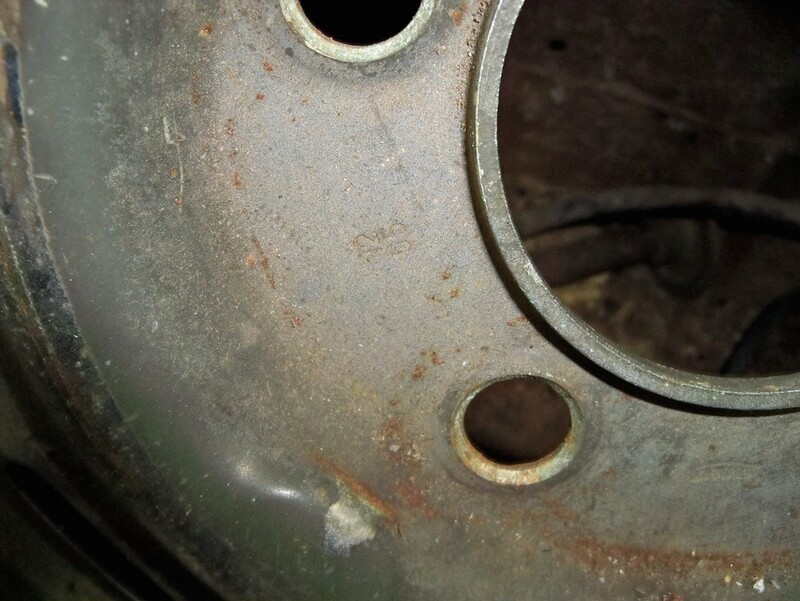 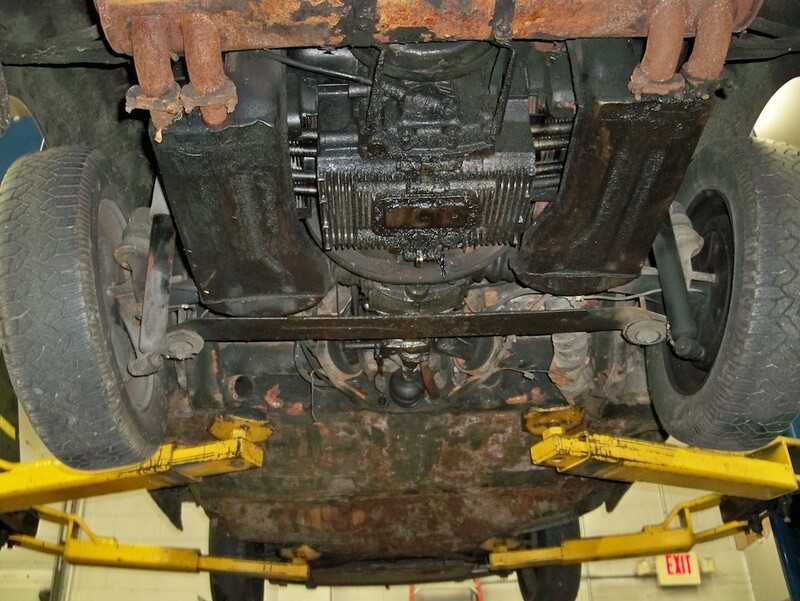 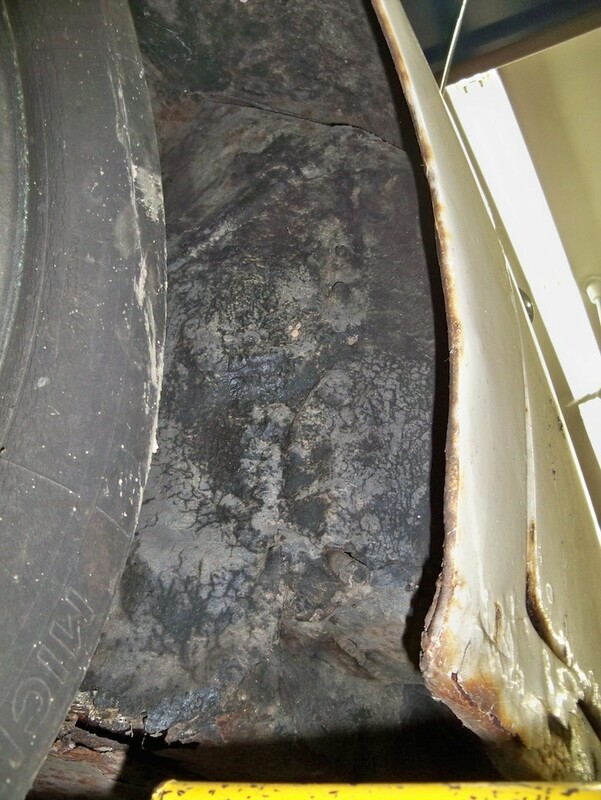 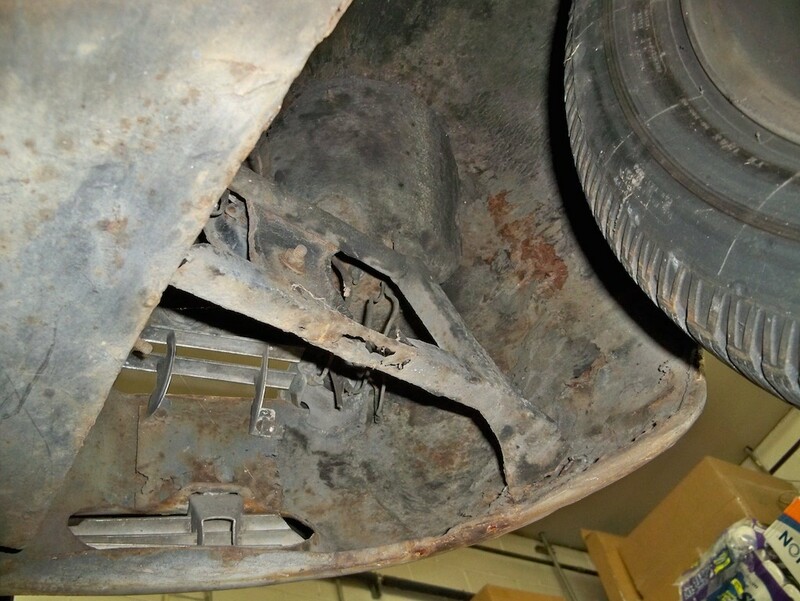 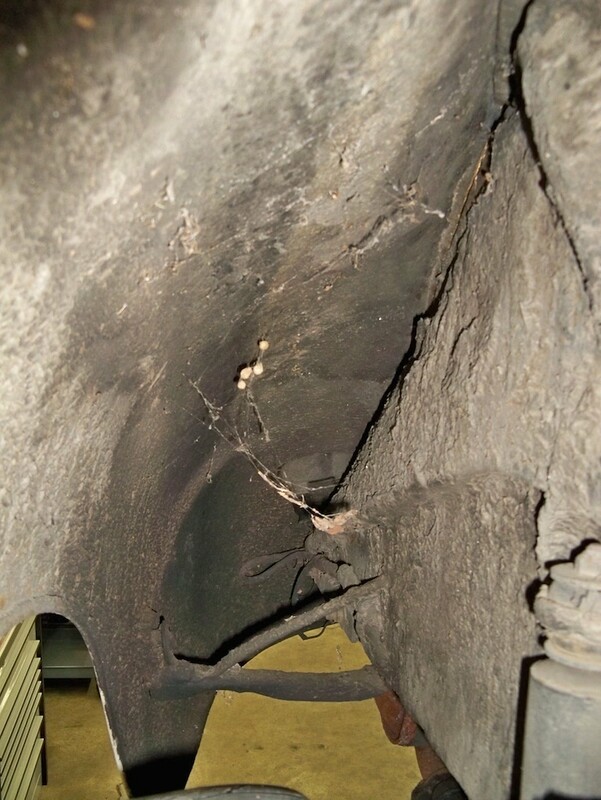 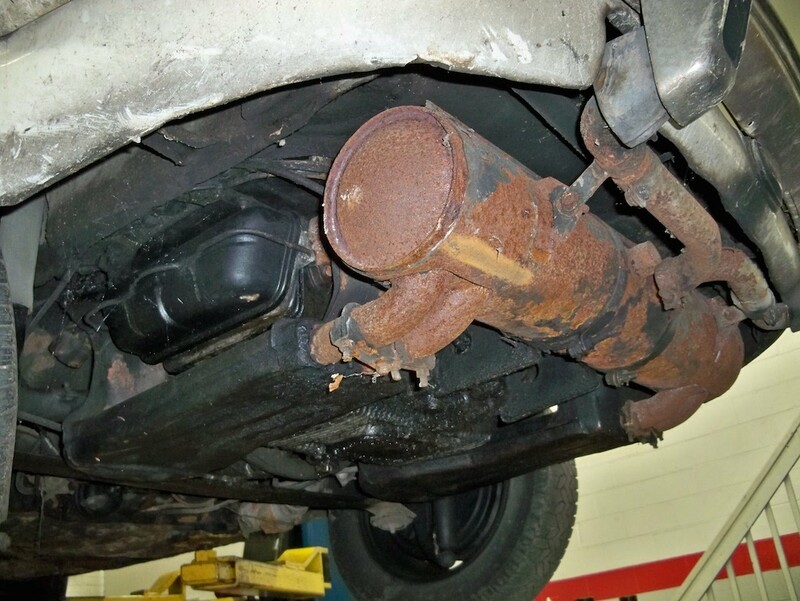 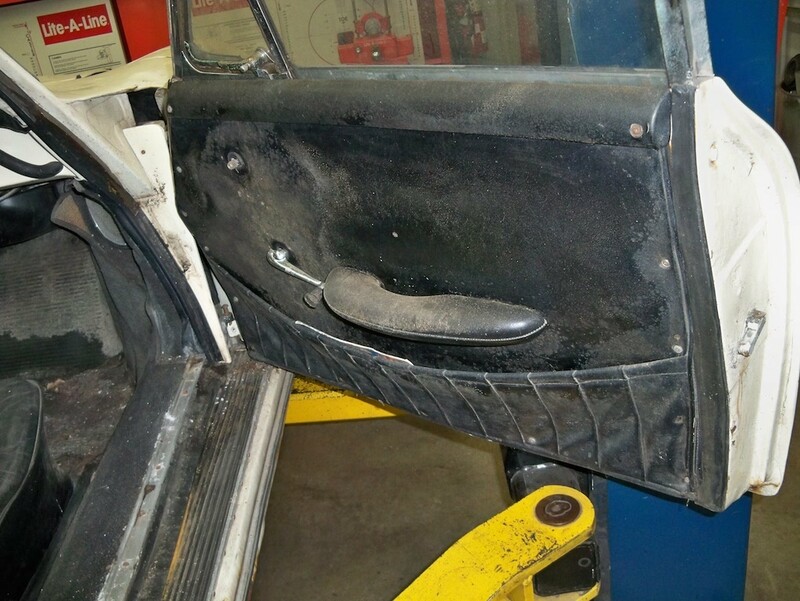 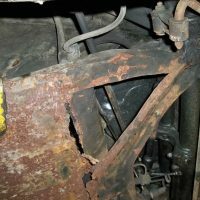 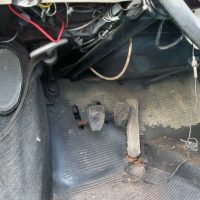 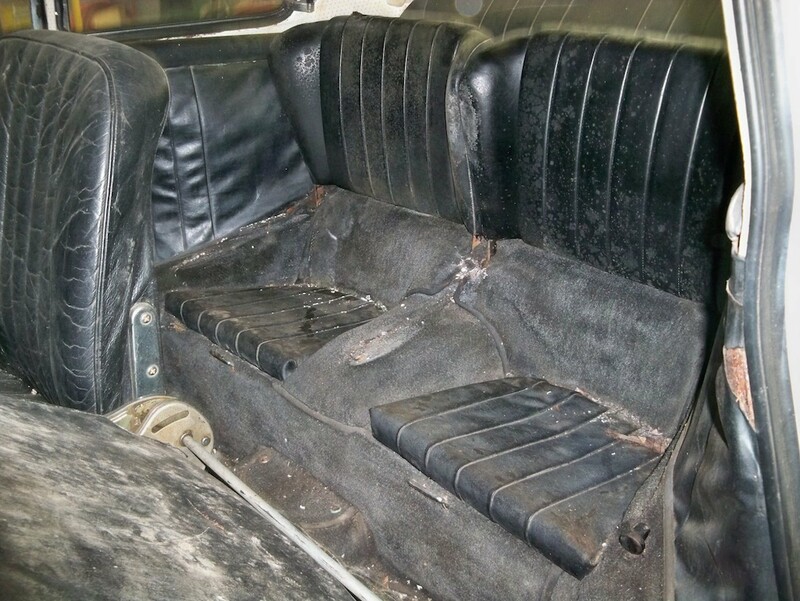 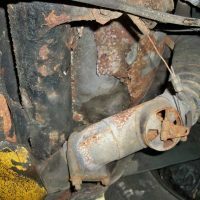 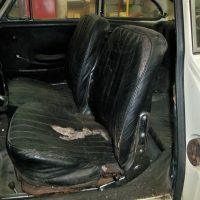 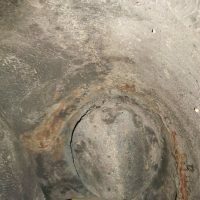 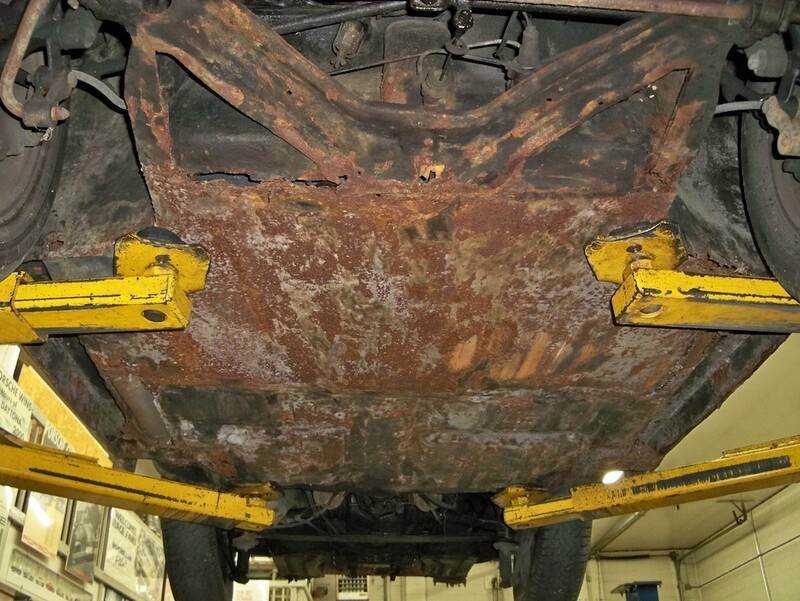 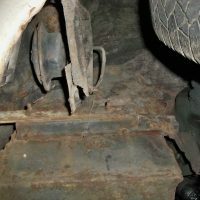 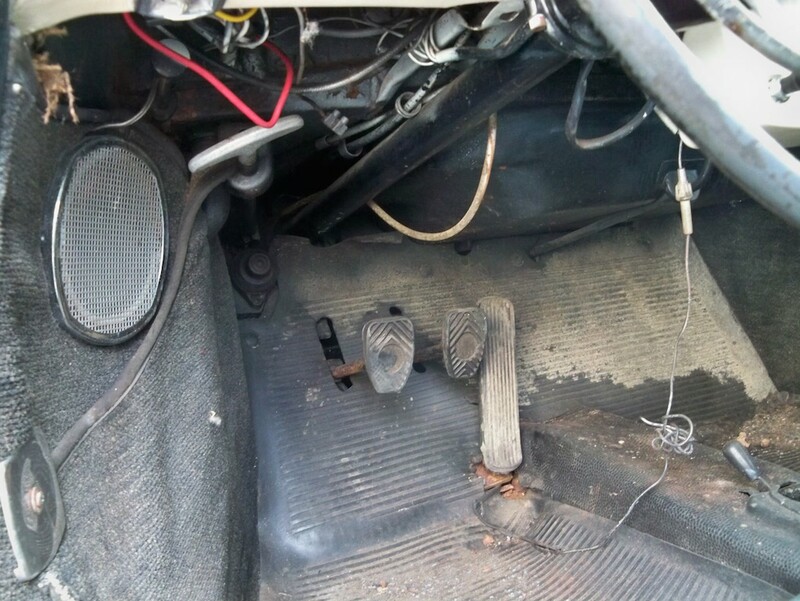 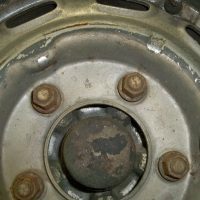 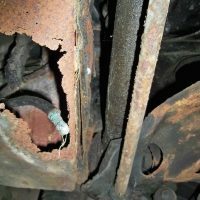 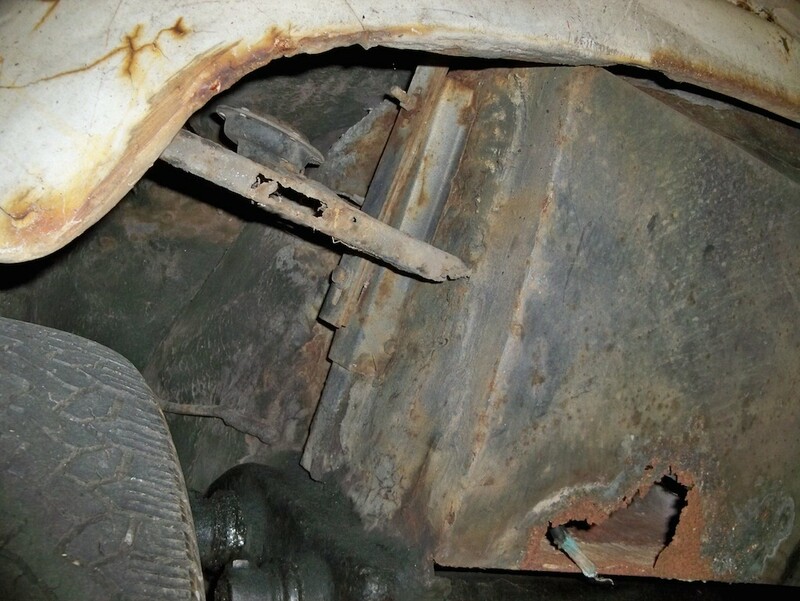 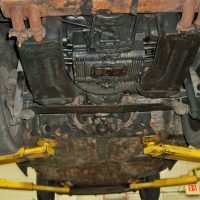 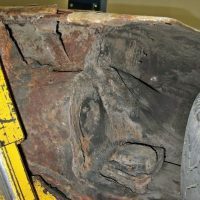 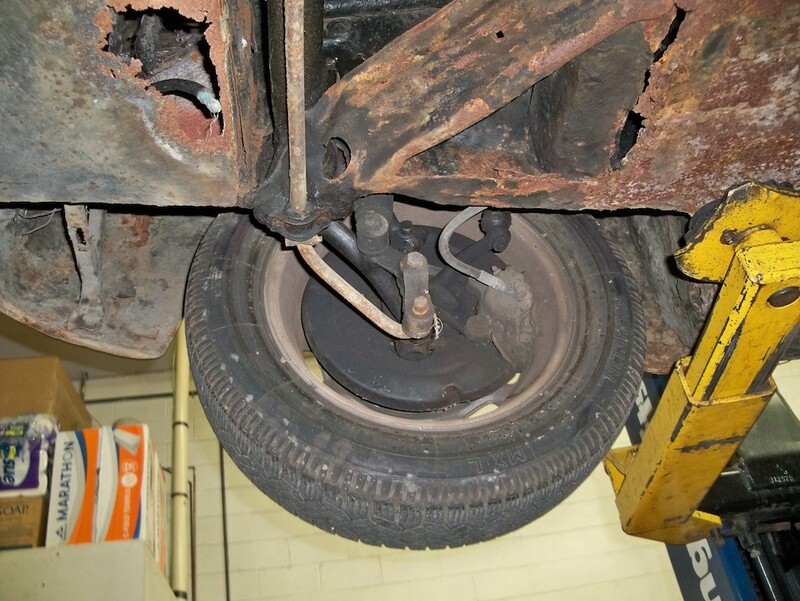 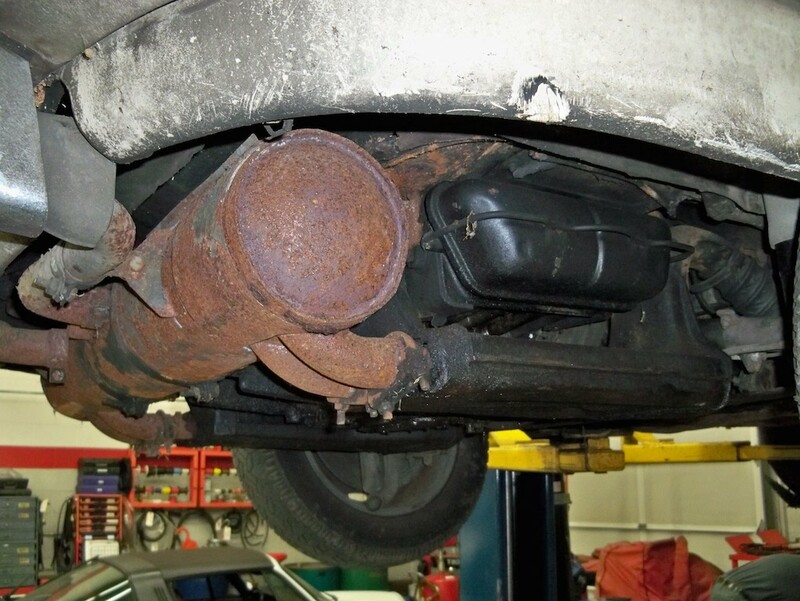 The car has rust in the usual places and will need restoration. 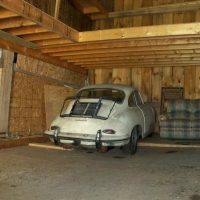 Has been sitting in storage for over 20 years; the engine turns over but has not been run.